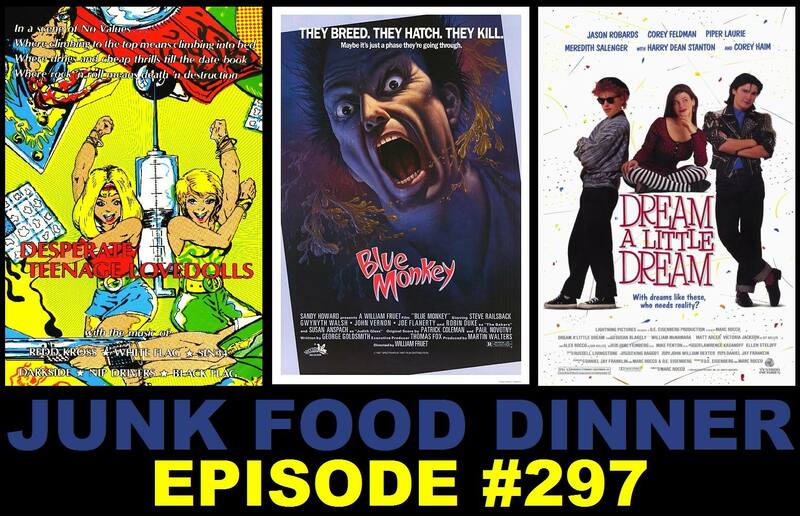 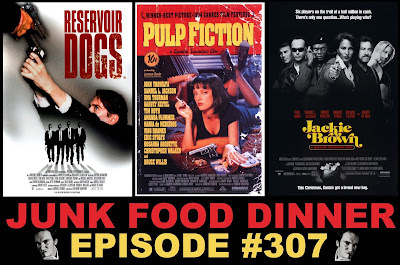 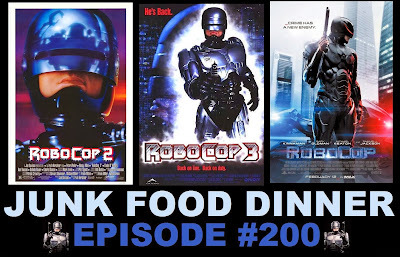 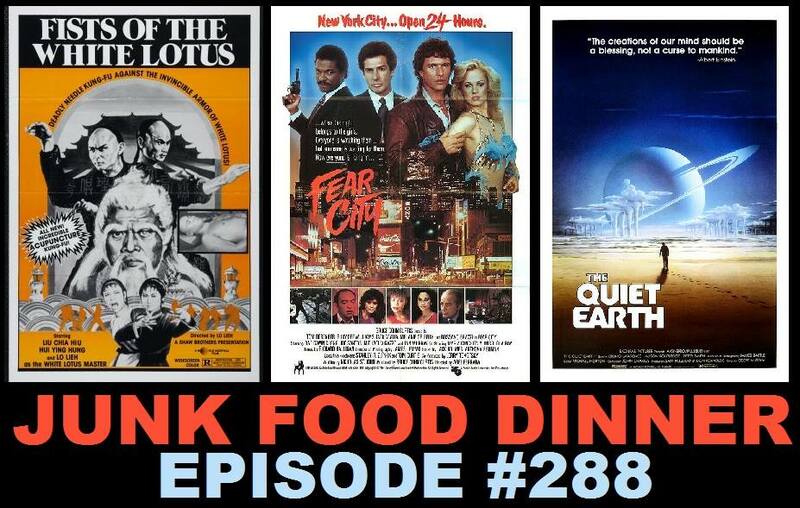 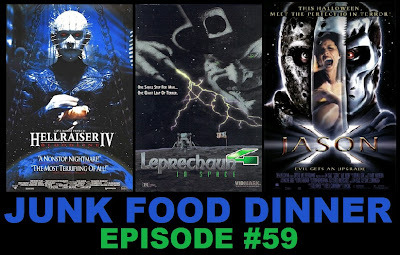 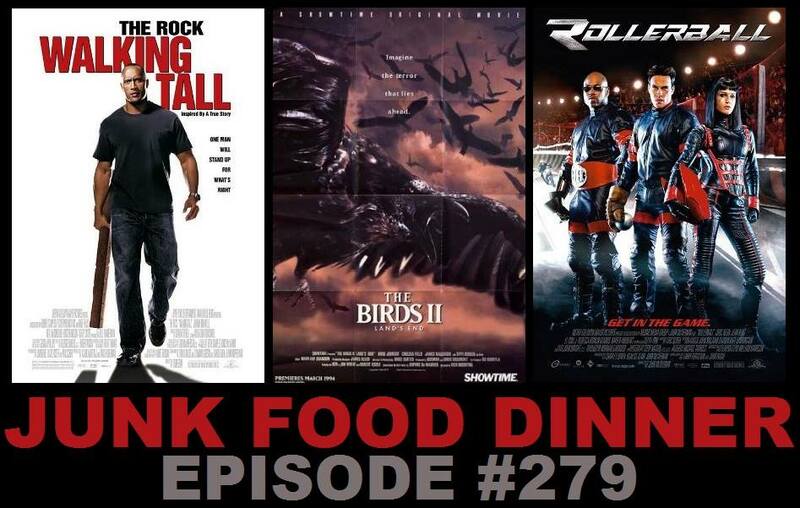 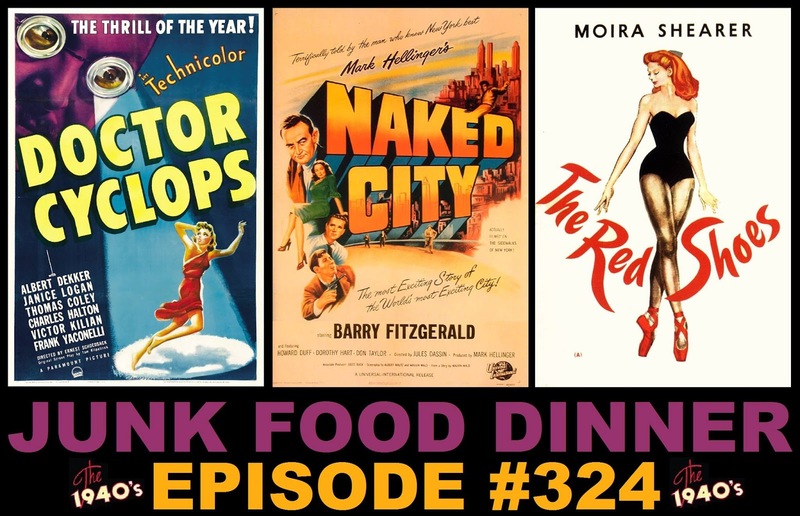 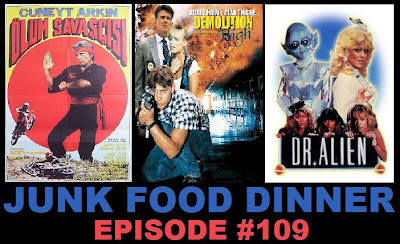 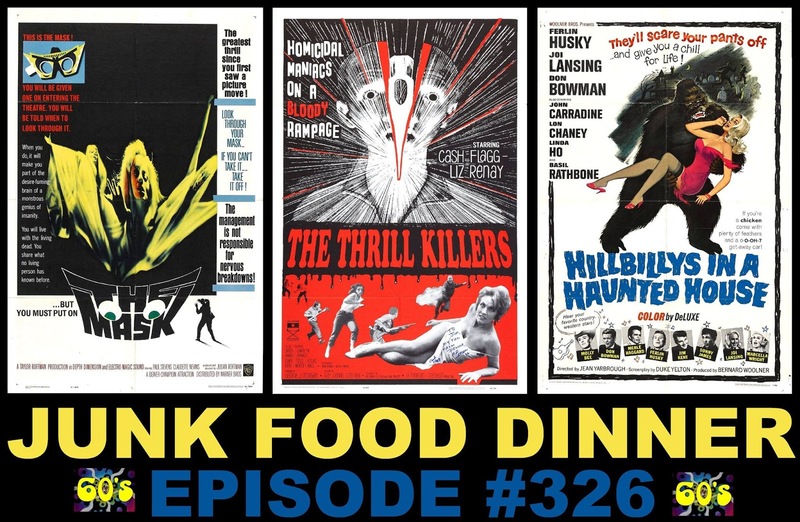 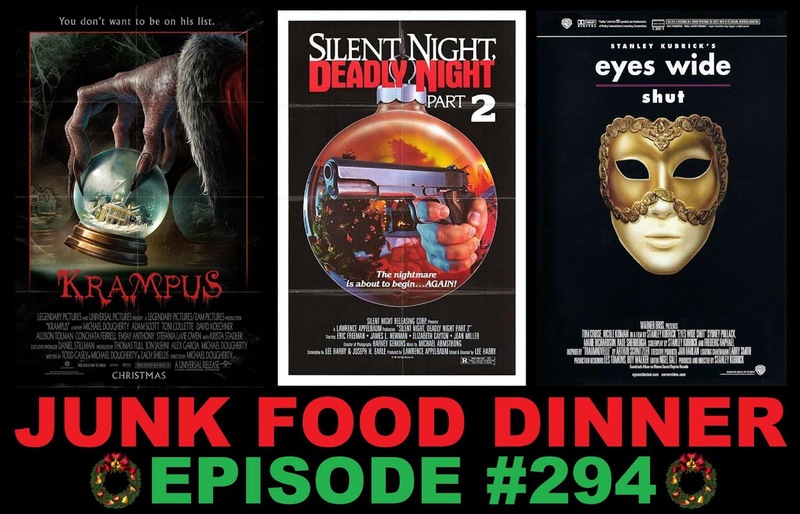 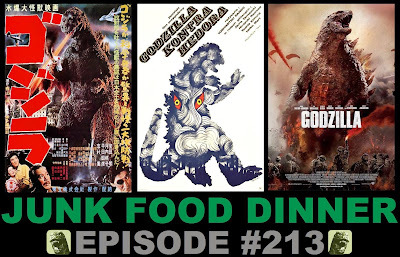 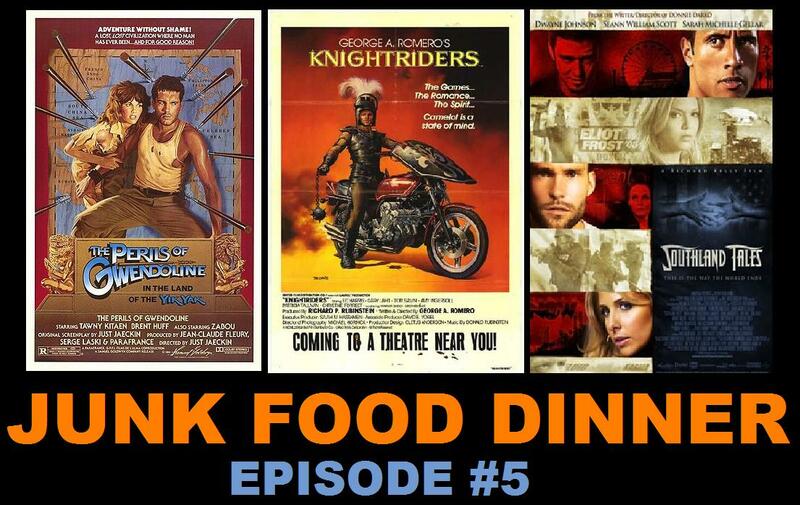 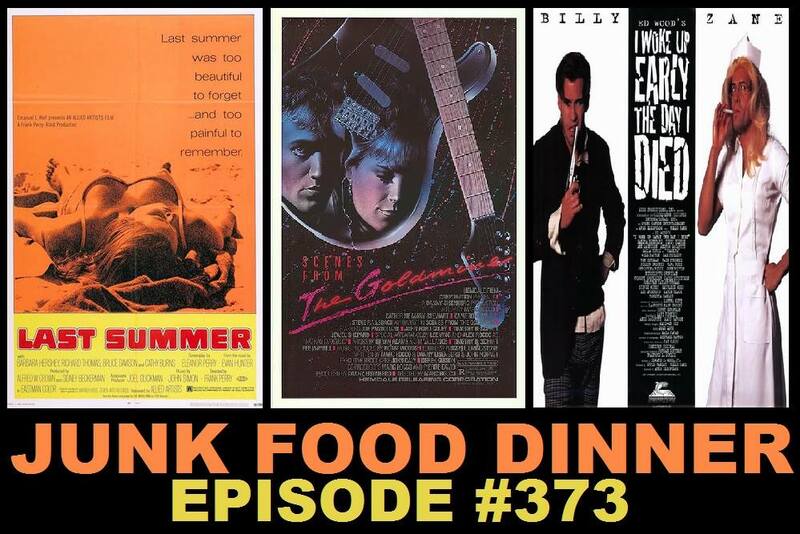 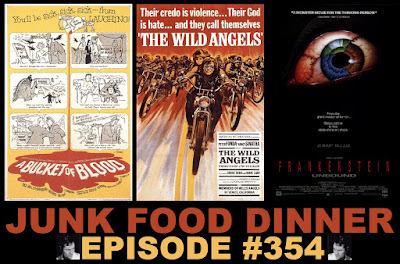 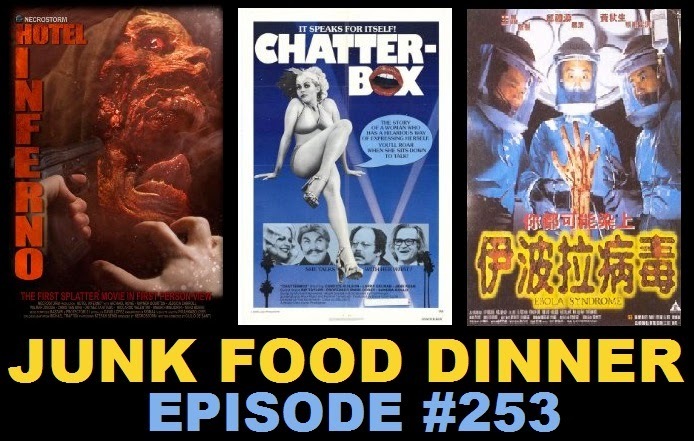 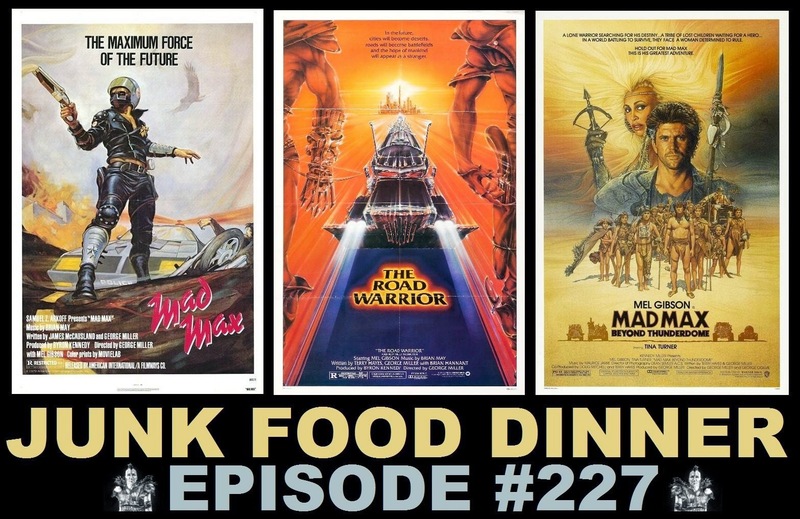 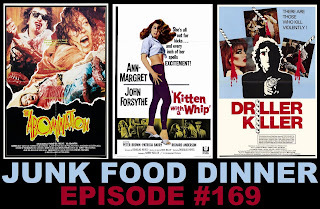 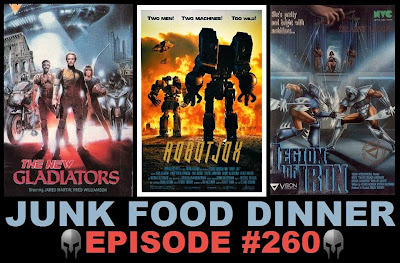 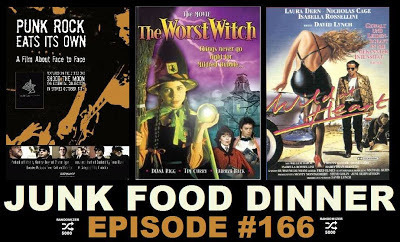 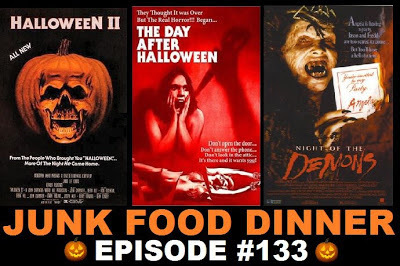 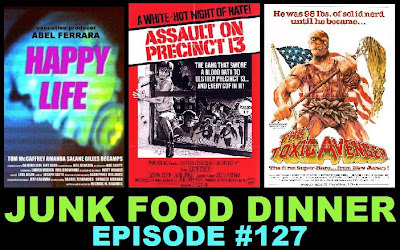 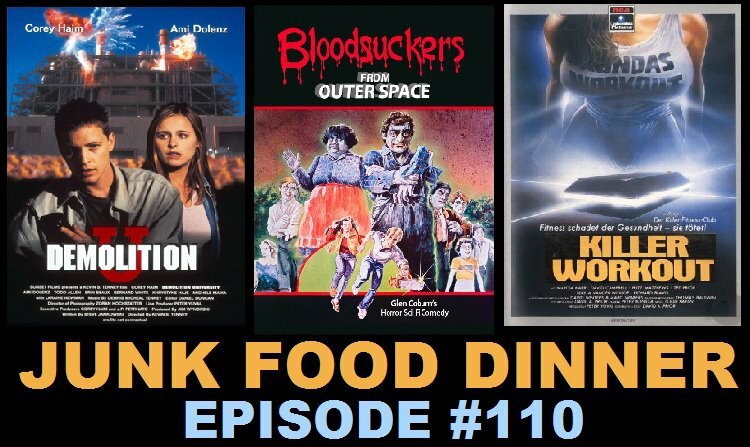 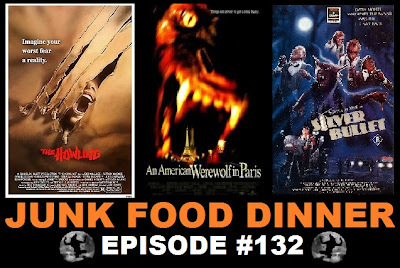 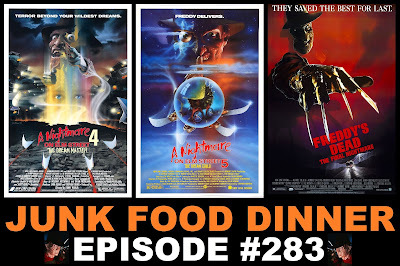 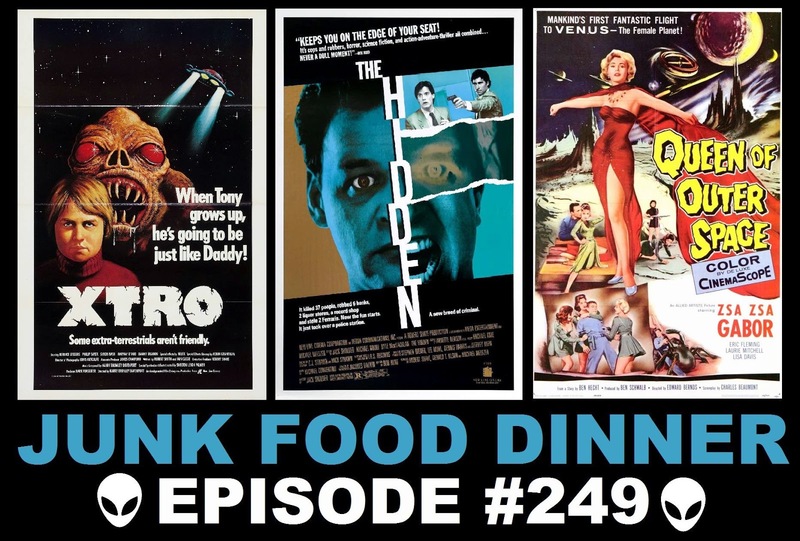 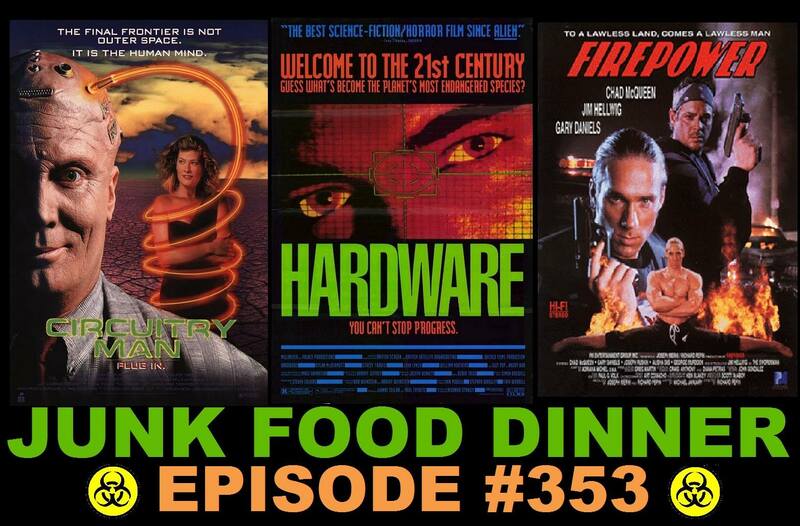 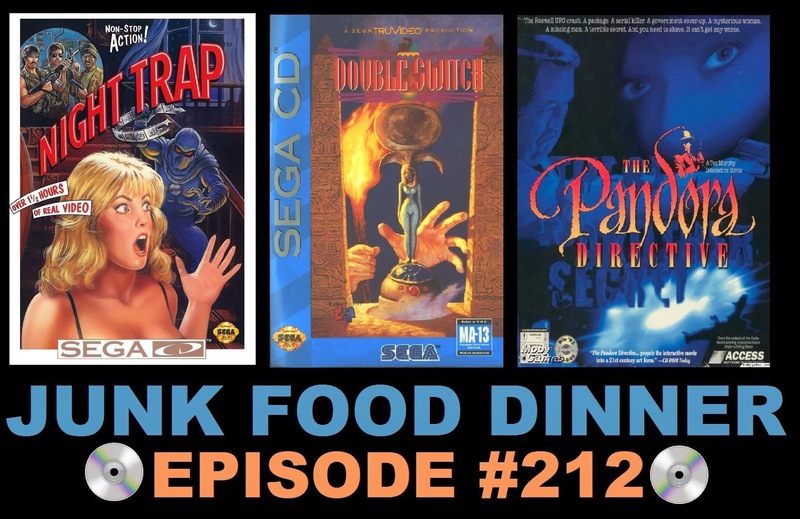 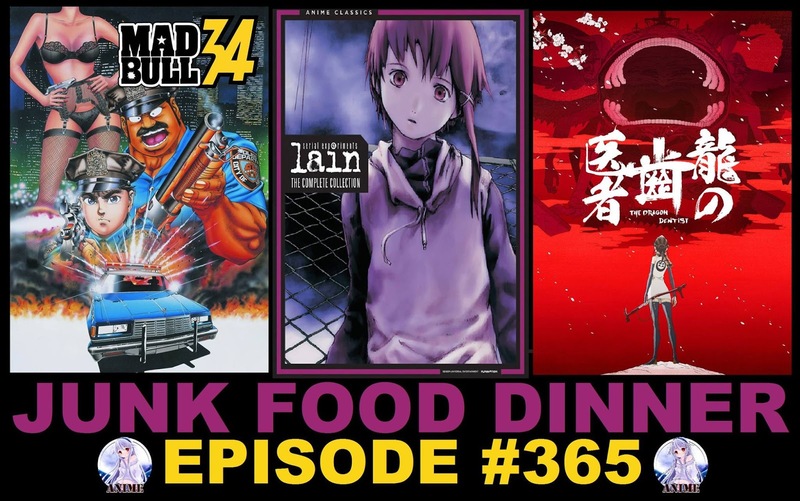 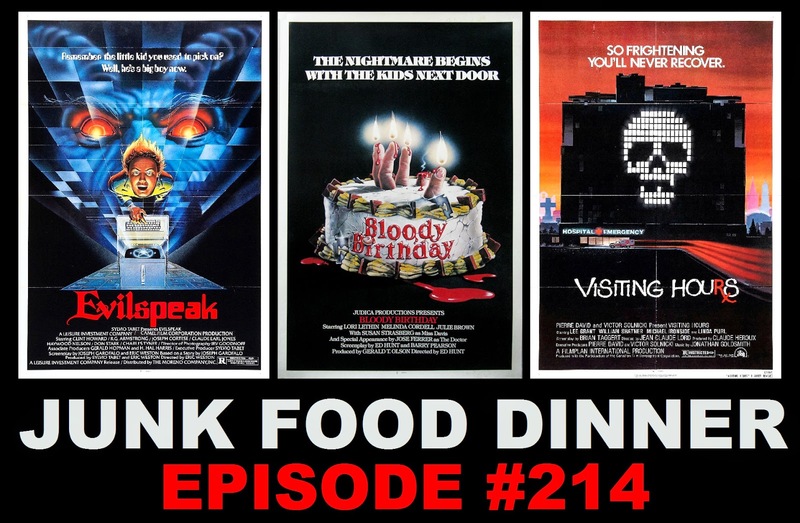 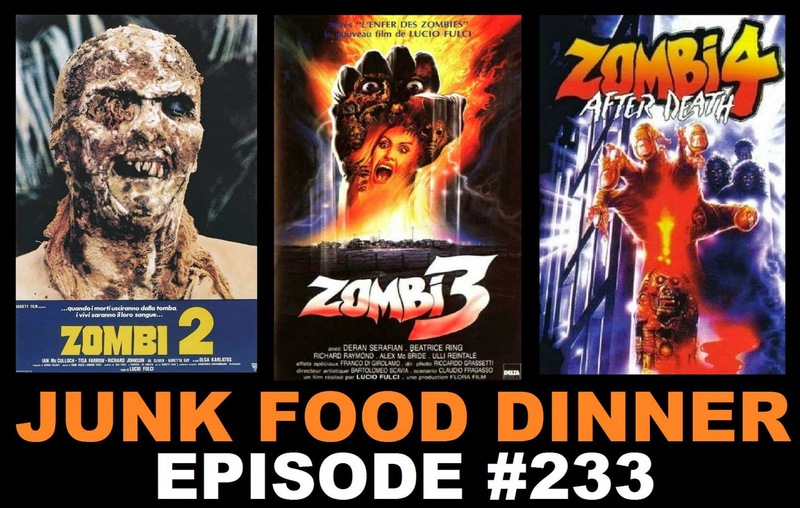 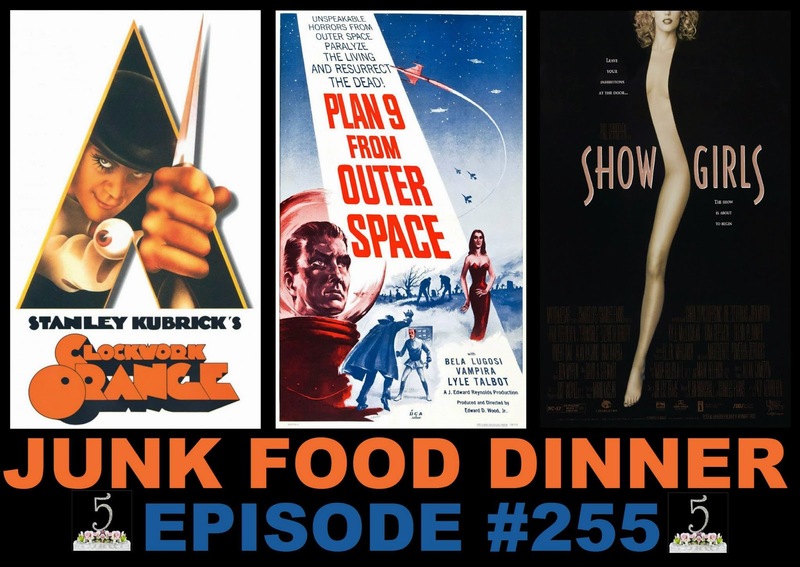 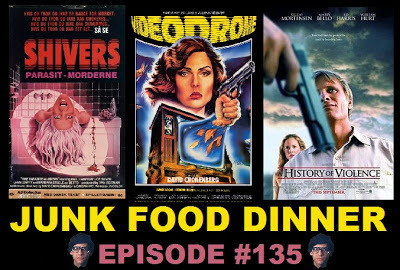 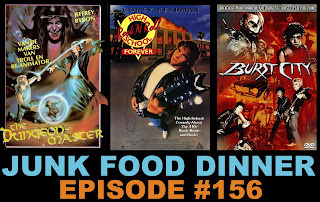 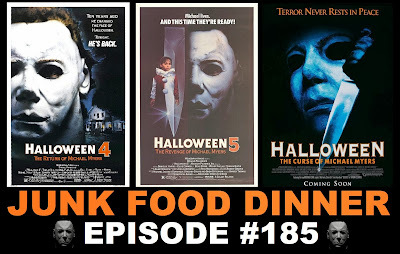 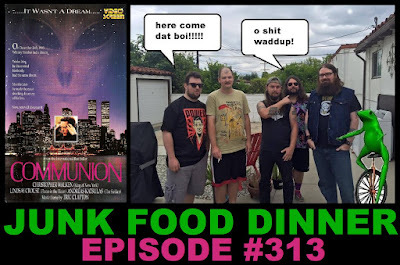 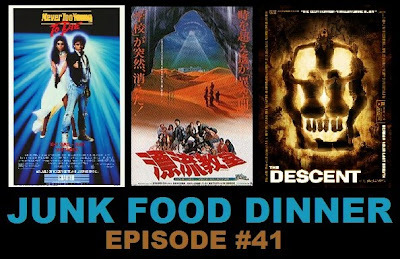 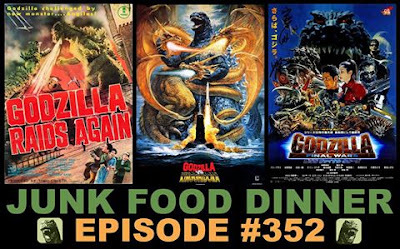 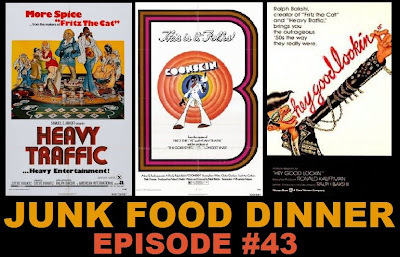 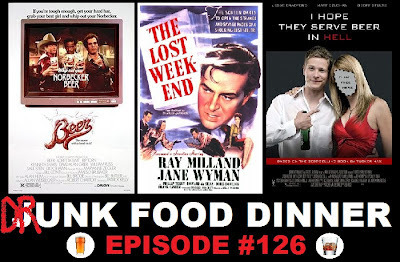 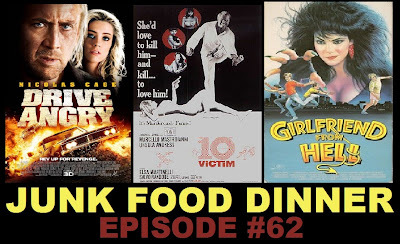 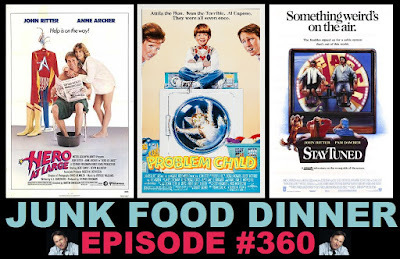 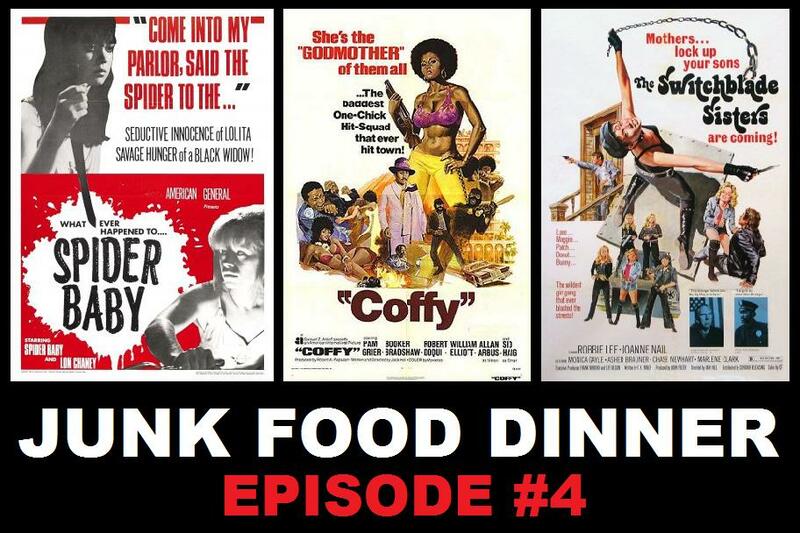 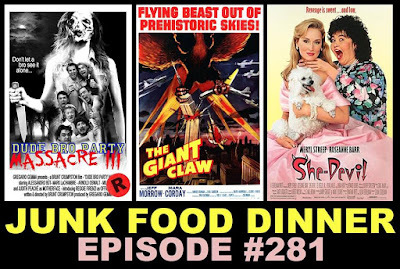 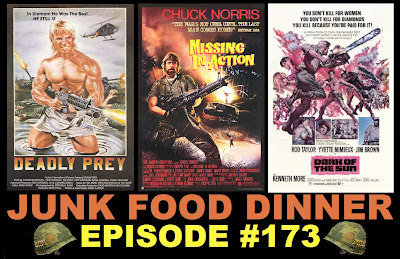 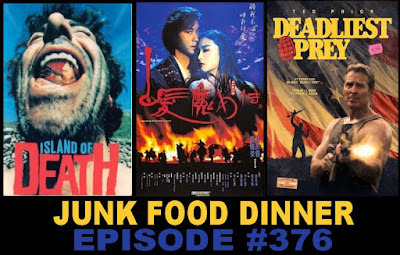 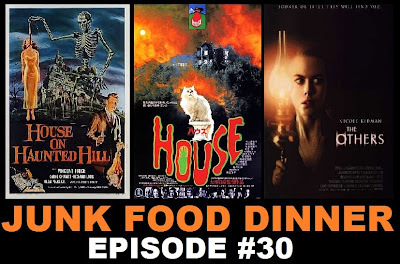 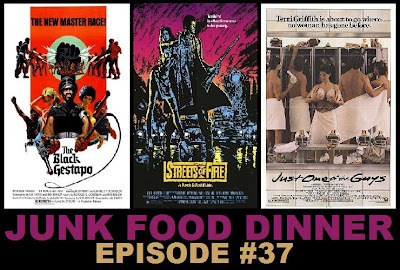 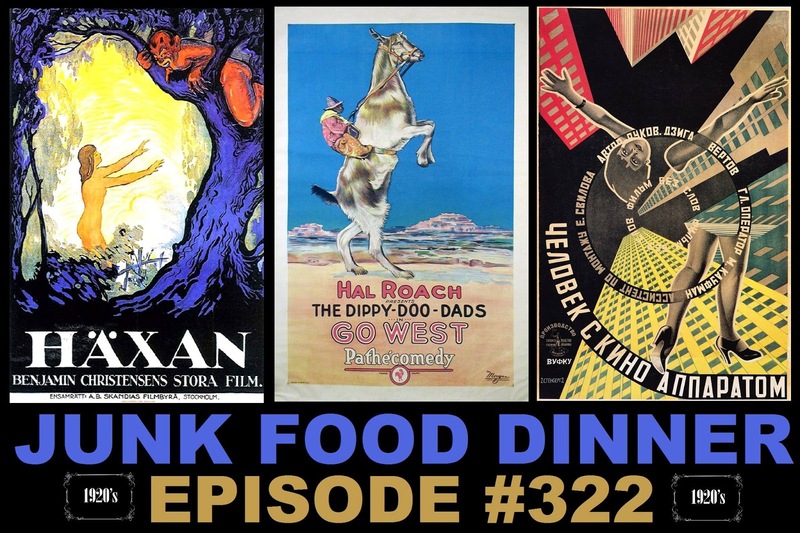 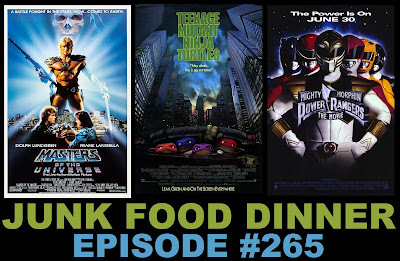 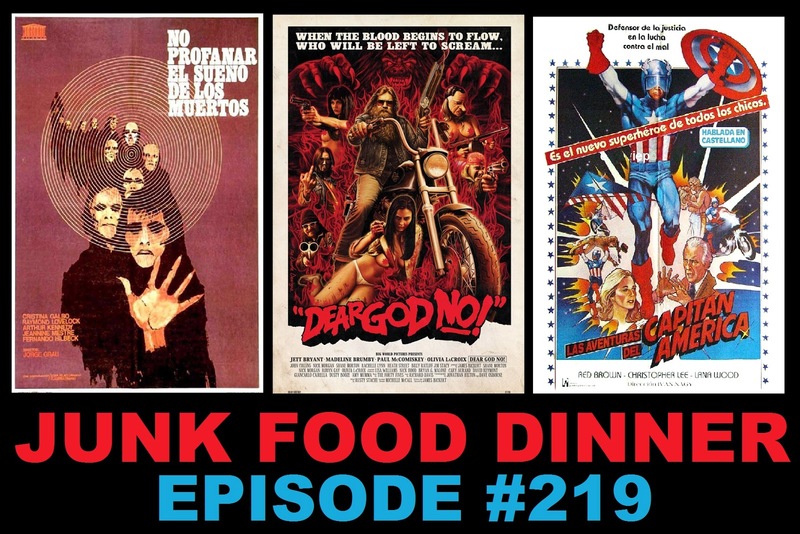 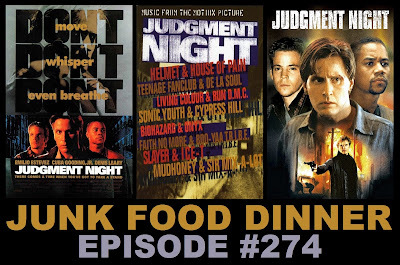 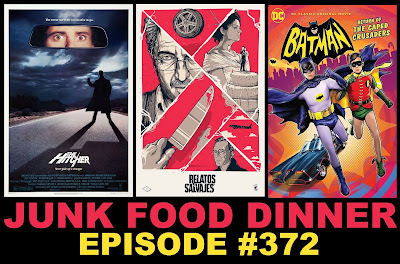 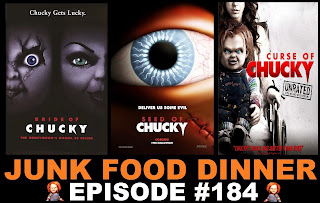 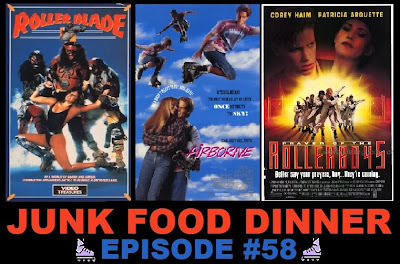 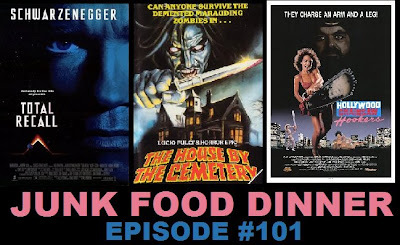 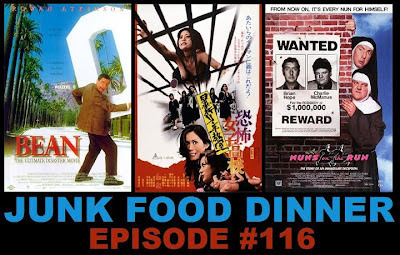 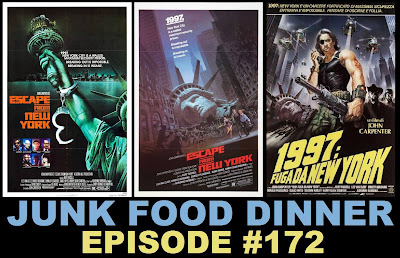 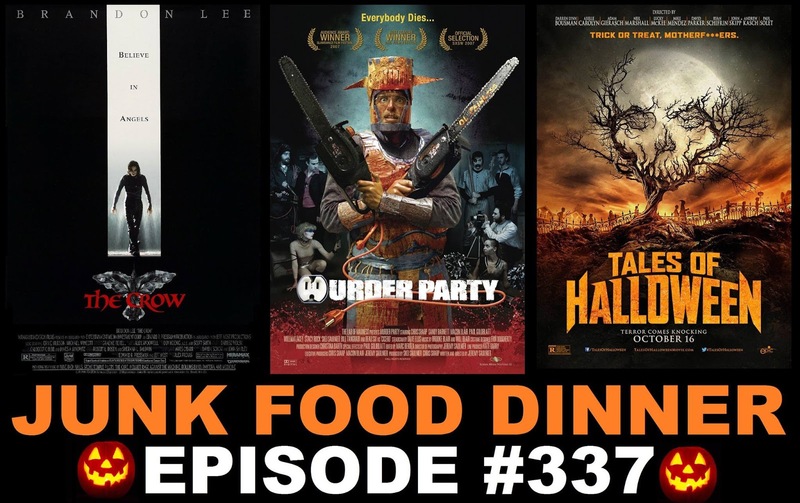 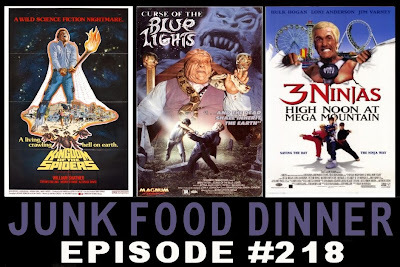 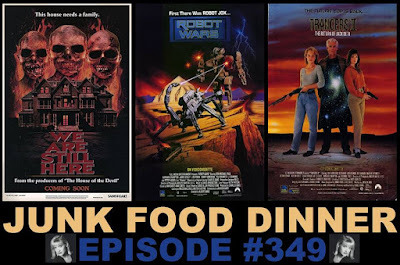 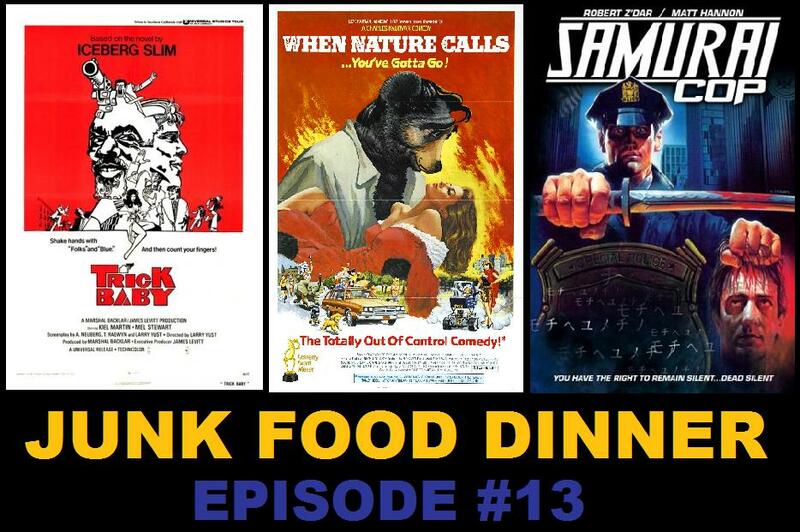 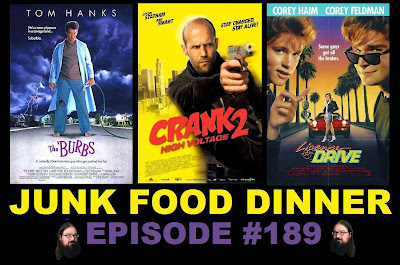 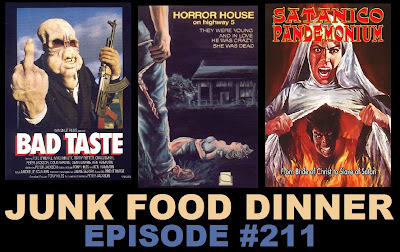 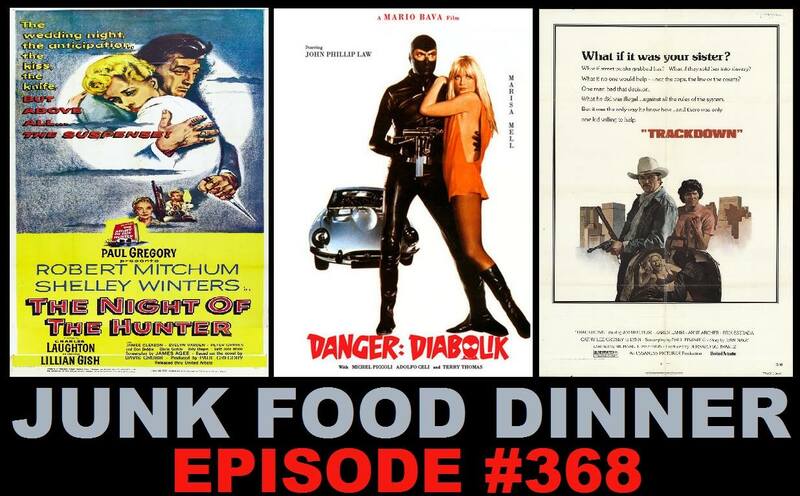 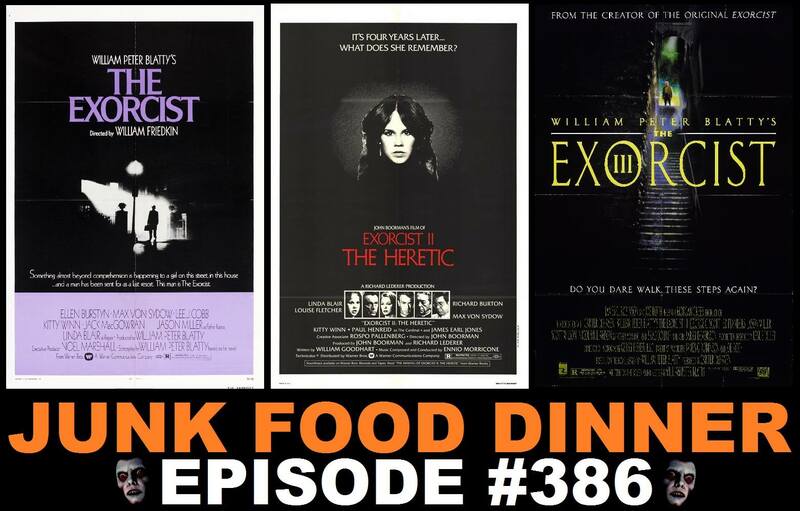 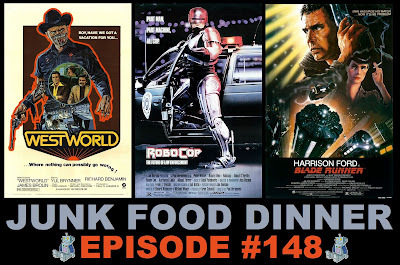 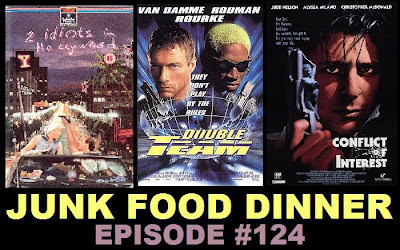 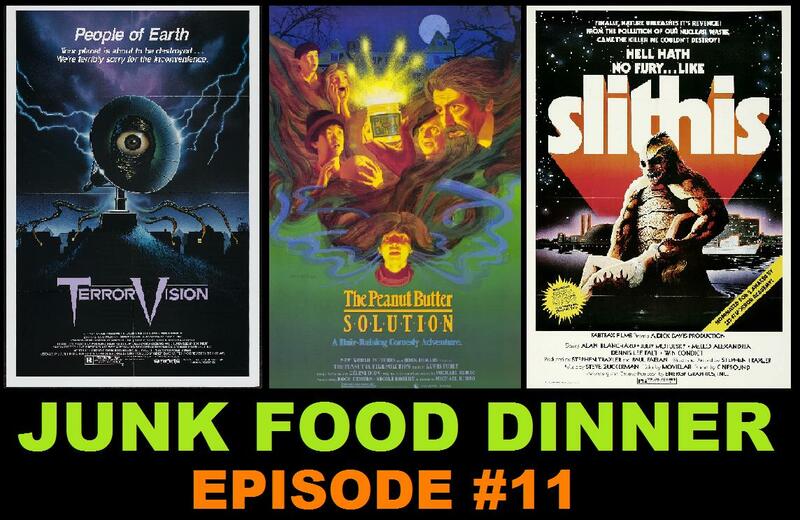 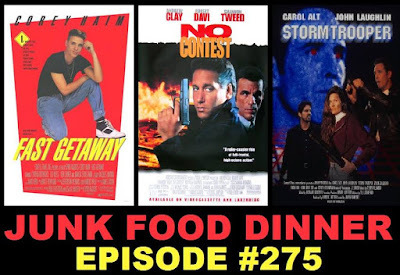 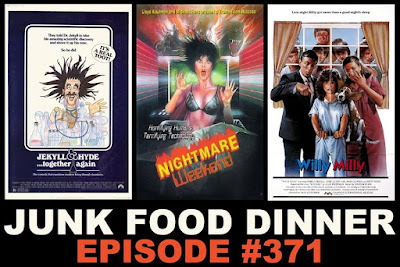 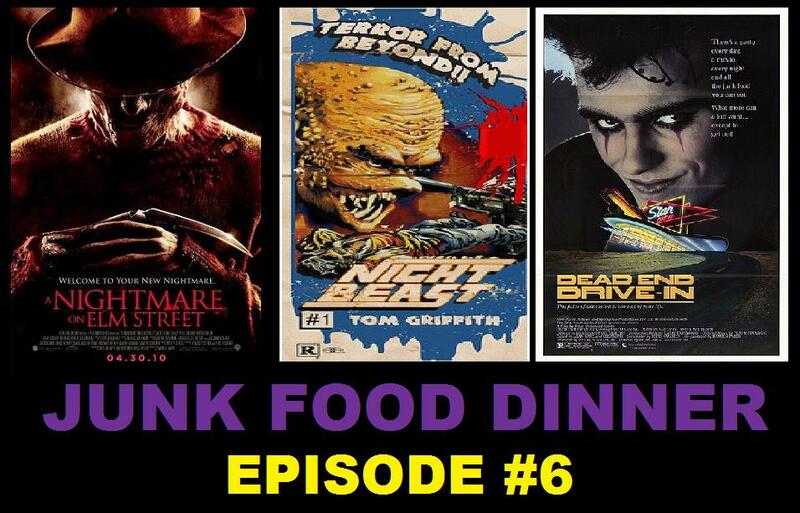 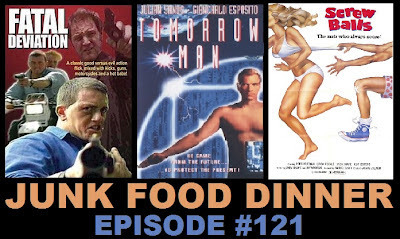 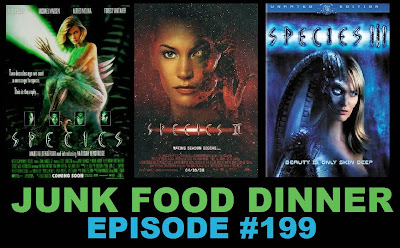 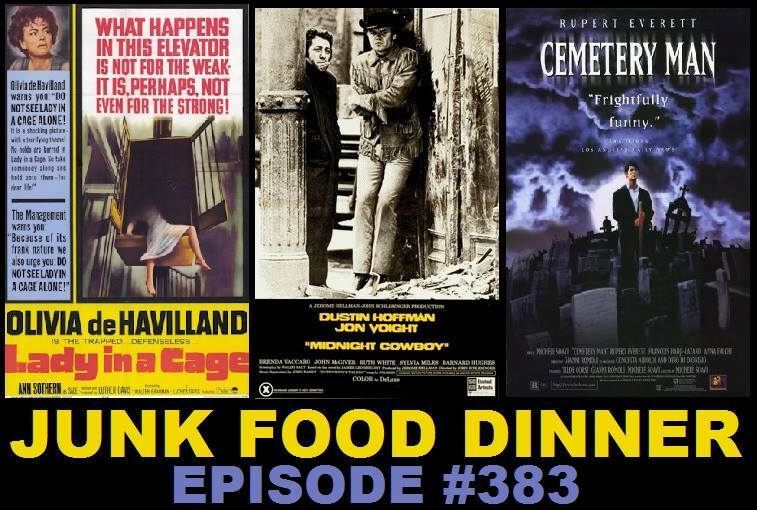 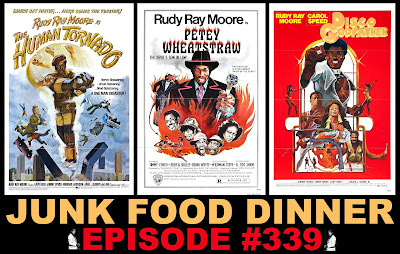 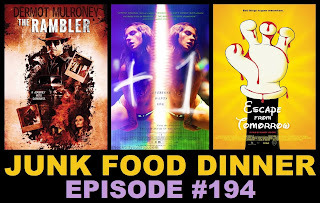 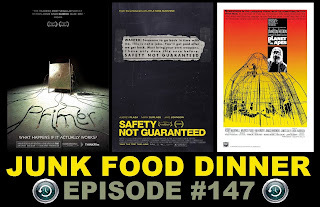 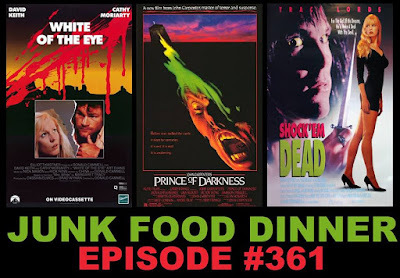 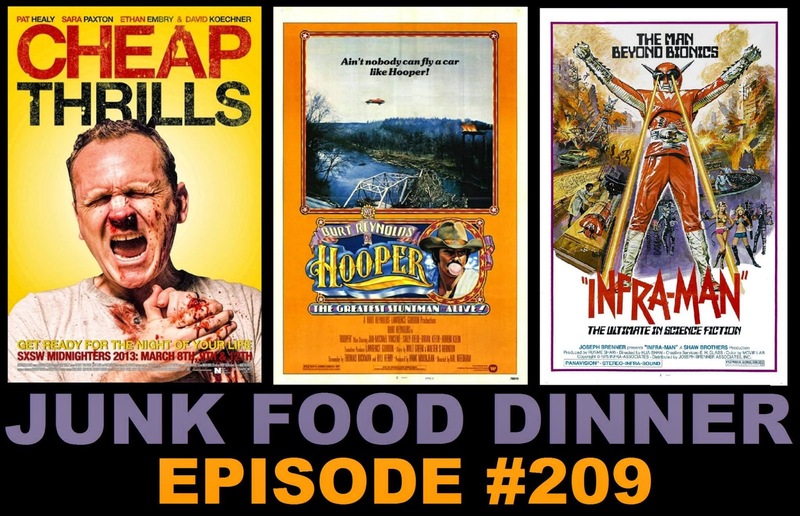 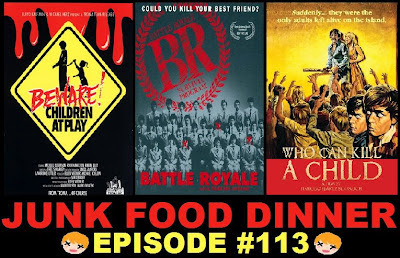 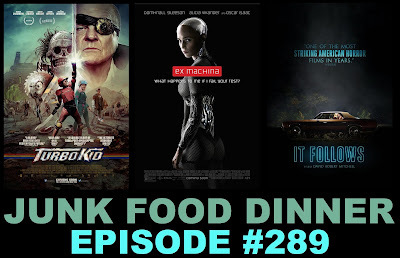 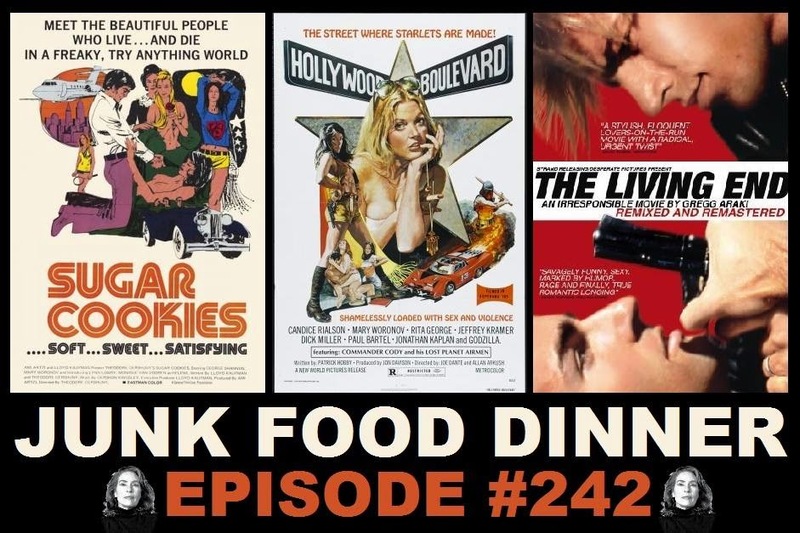 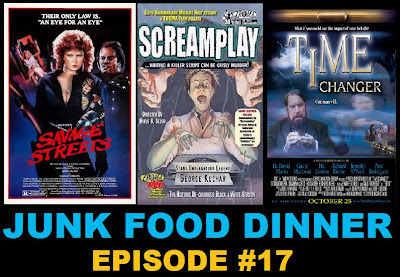 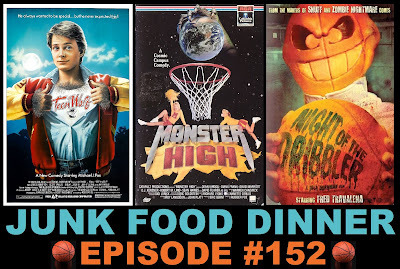 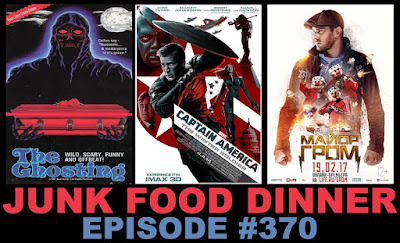 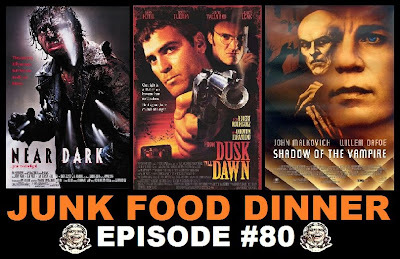 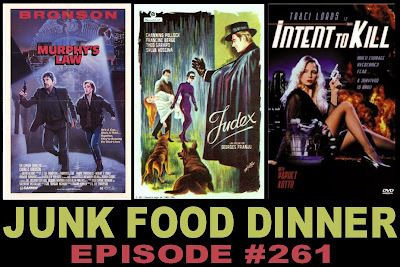 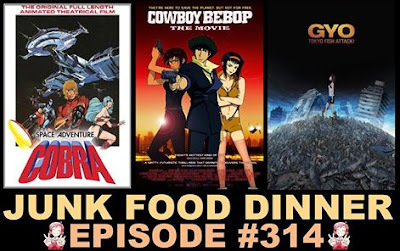 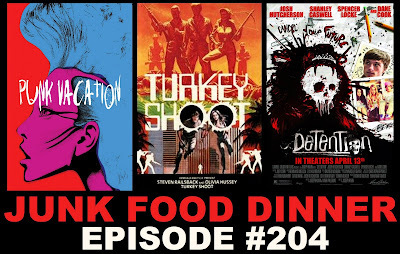 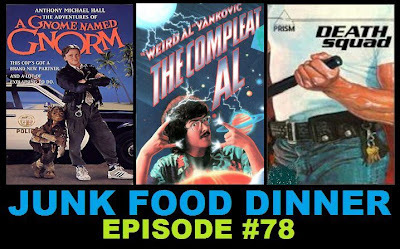 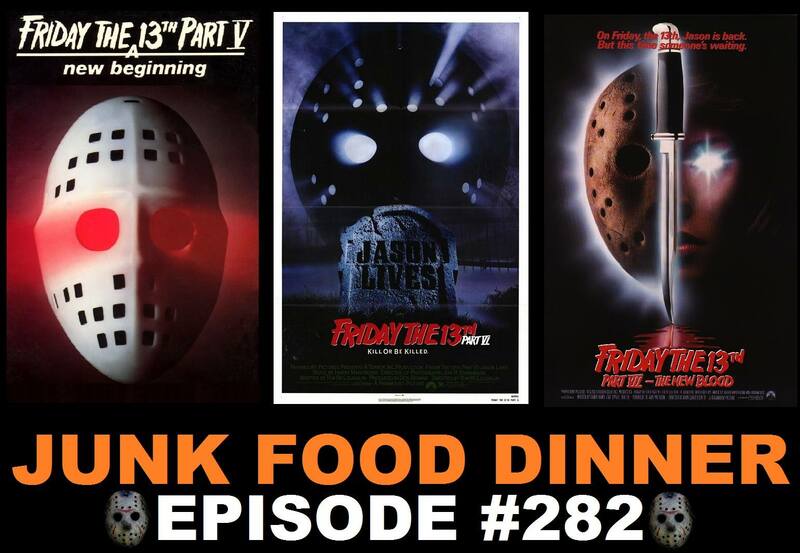 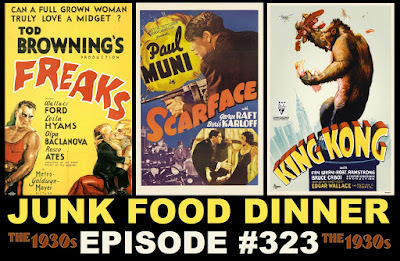 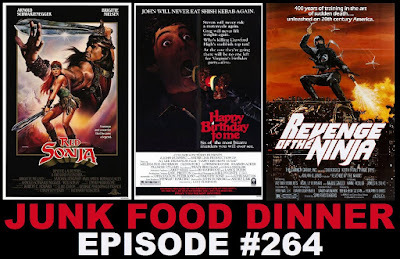 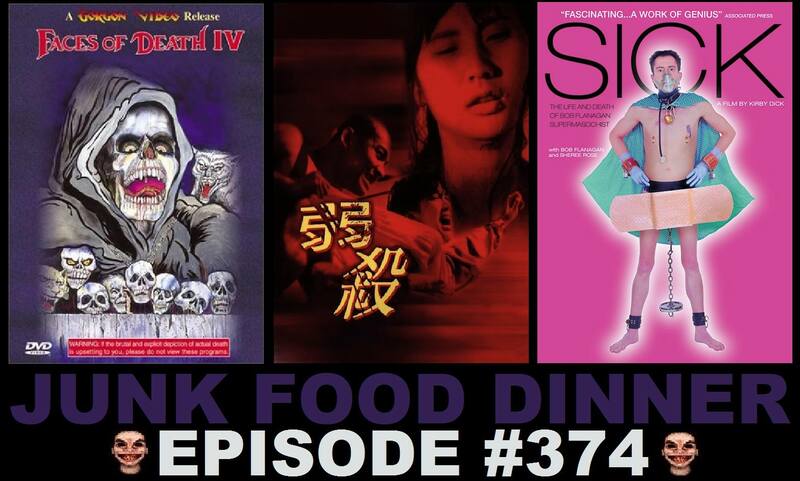 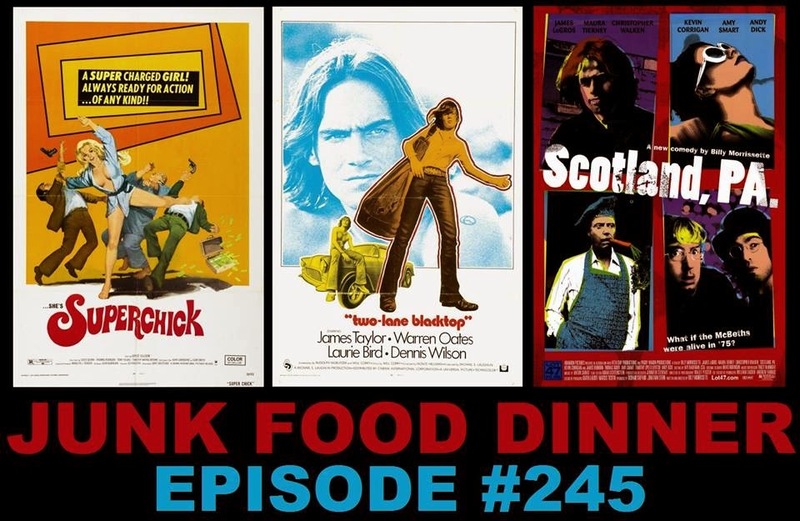 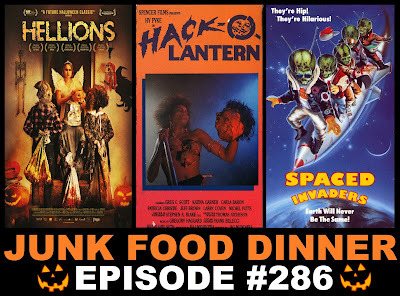 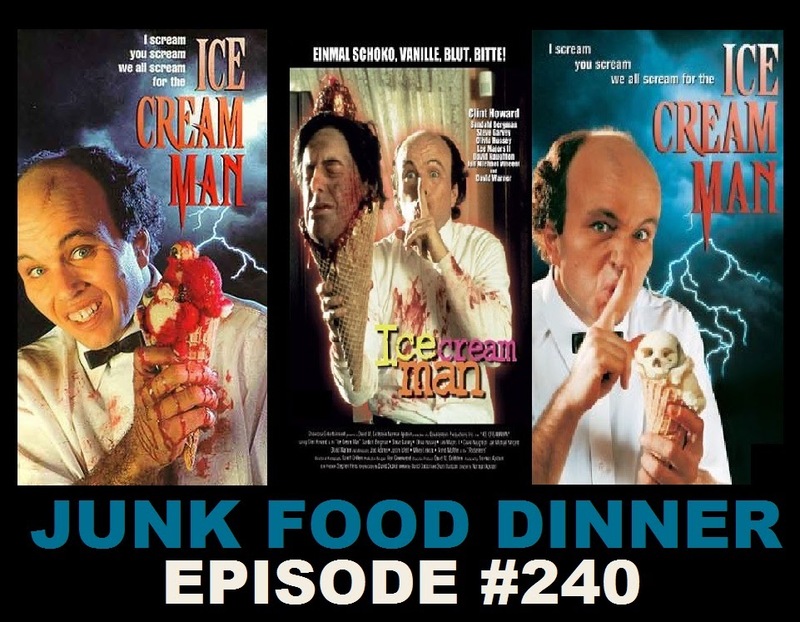 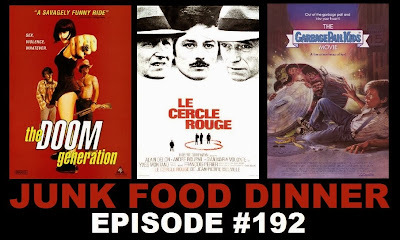 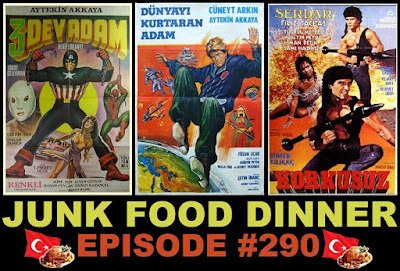 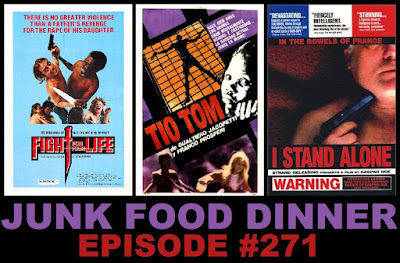 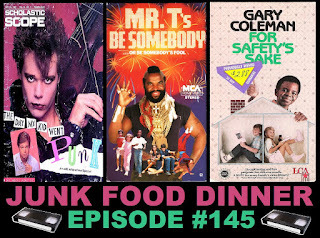 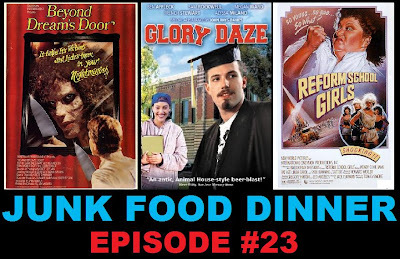 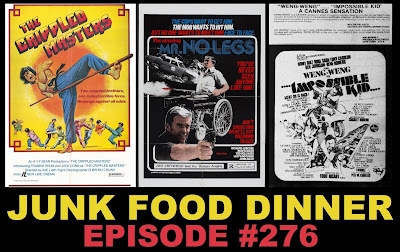 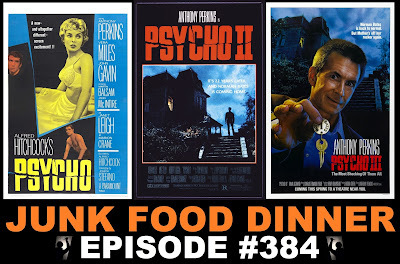 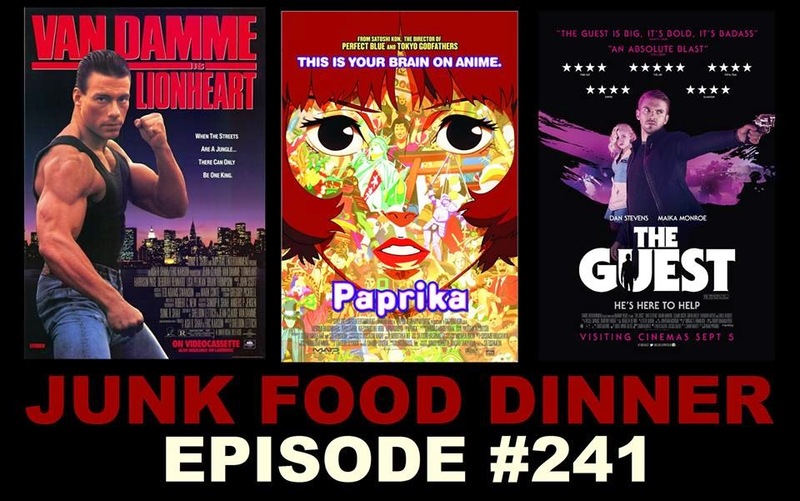 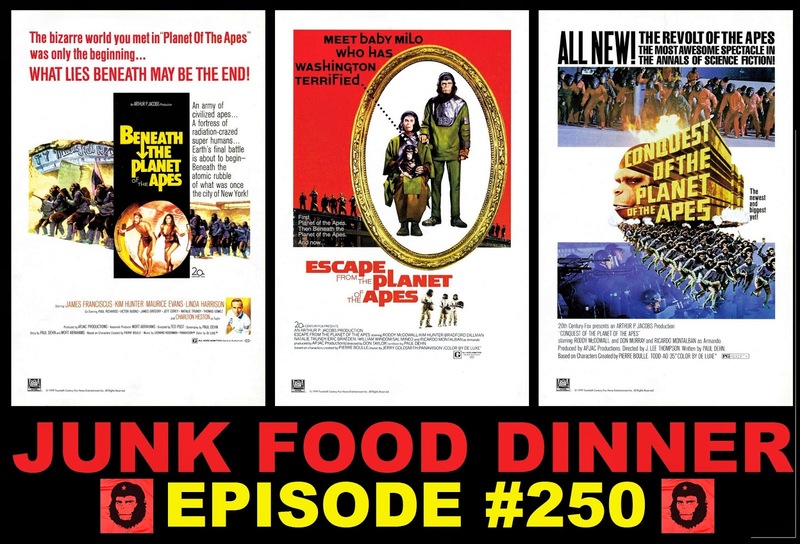 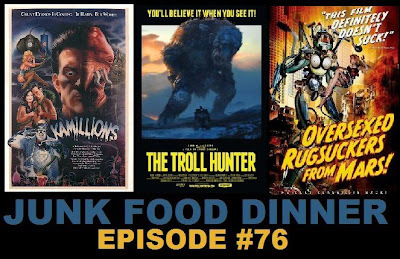 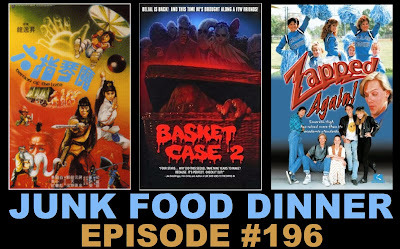 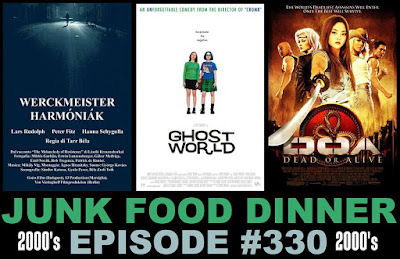 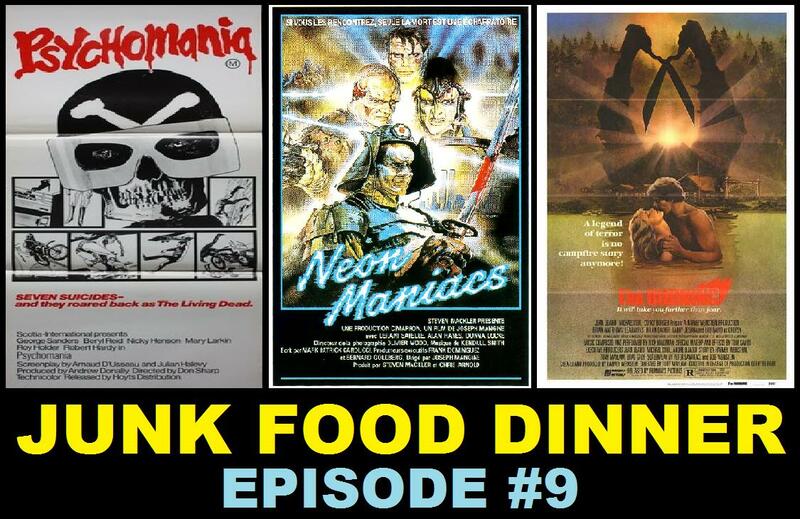 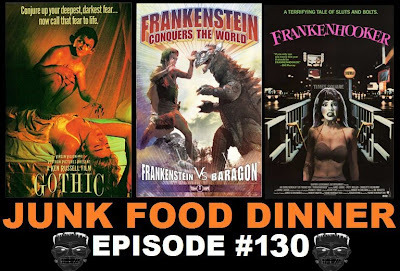 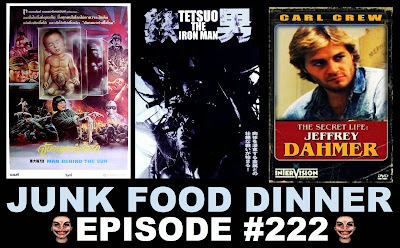 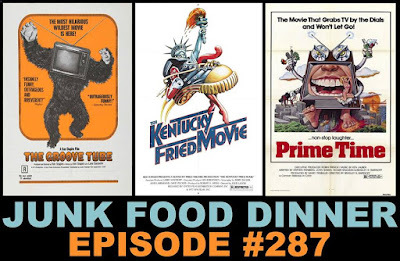 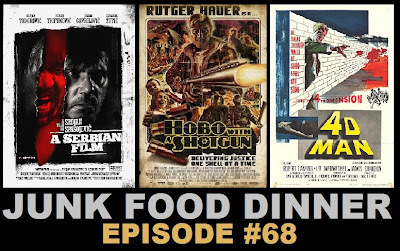 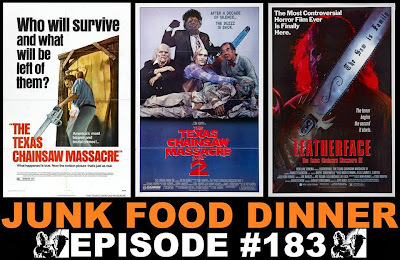 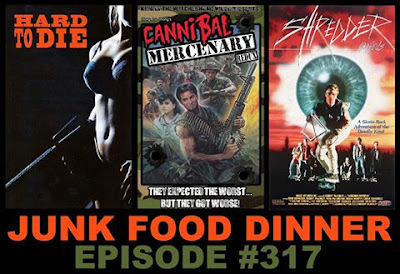 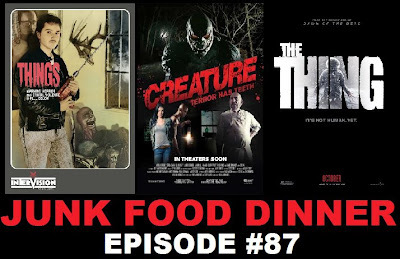 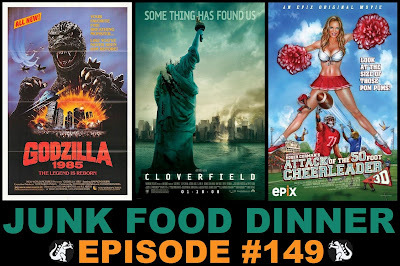 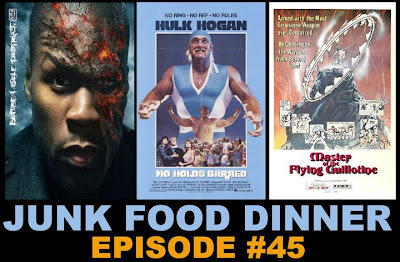 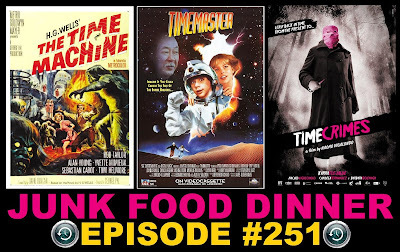 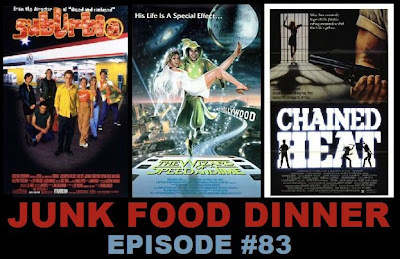 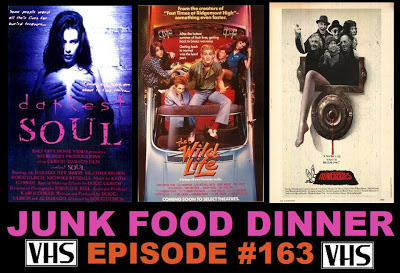 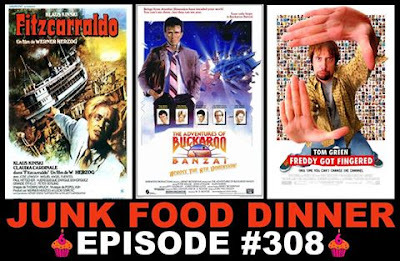 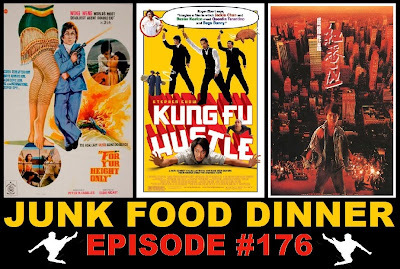 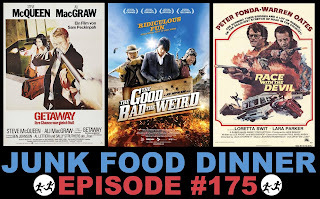 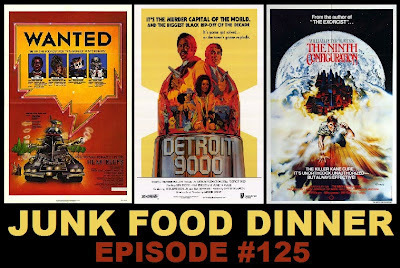 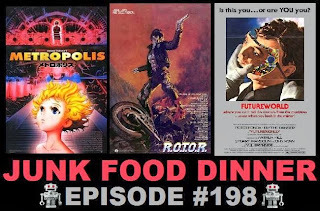 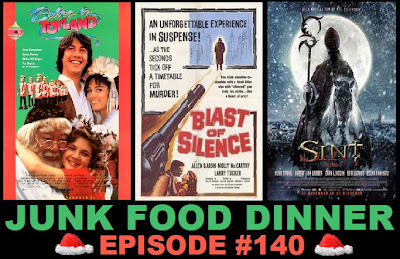 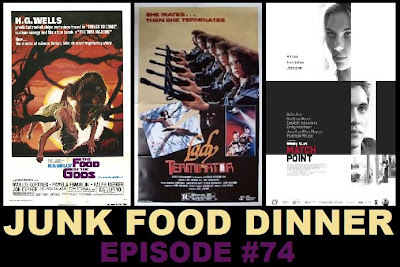 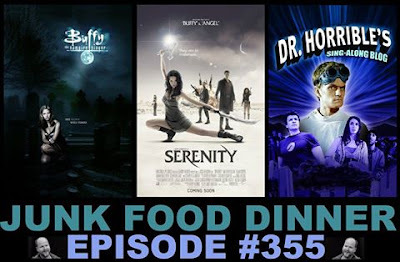 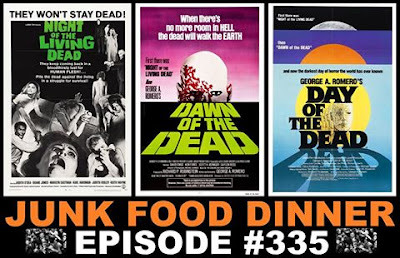 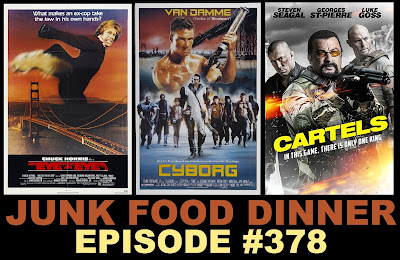 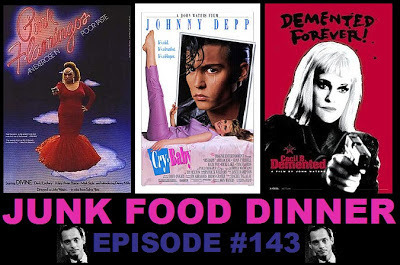 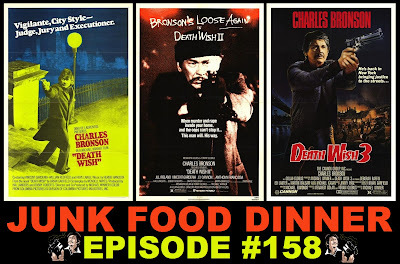 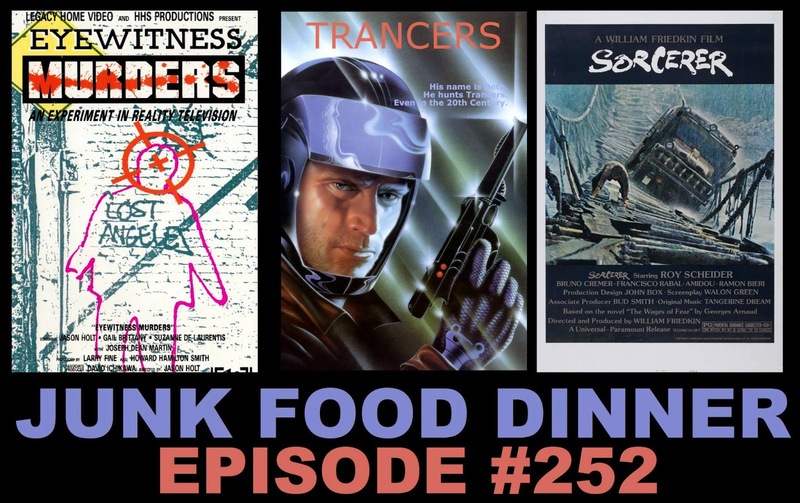 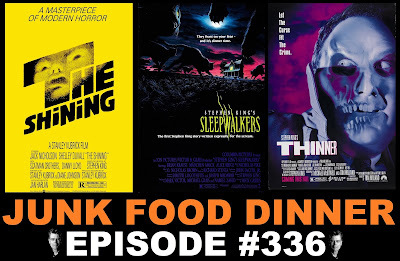 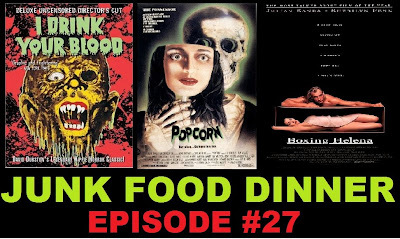 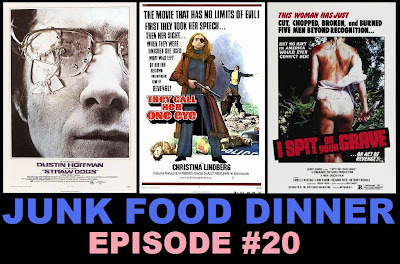 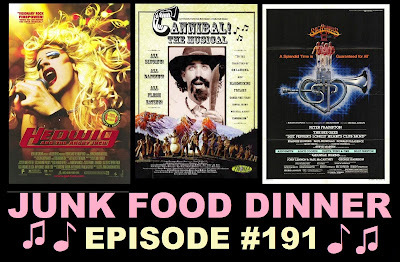 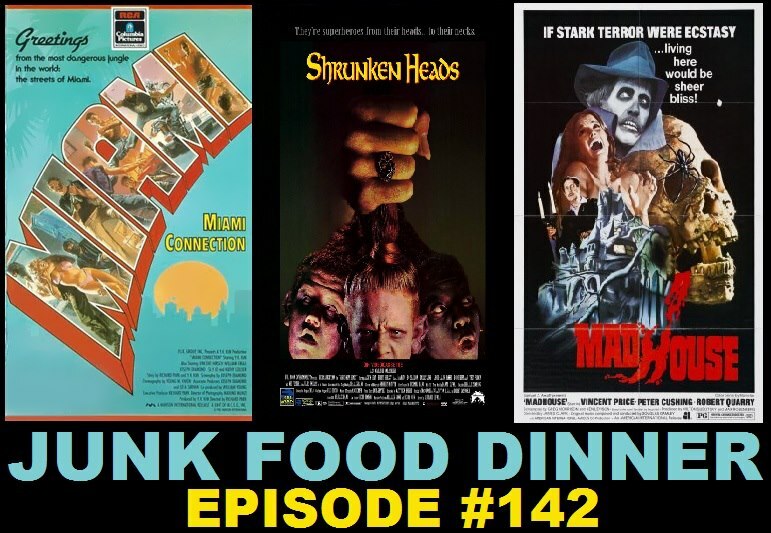 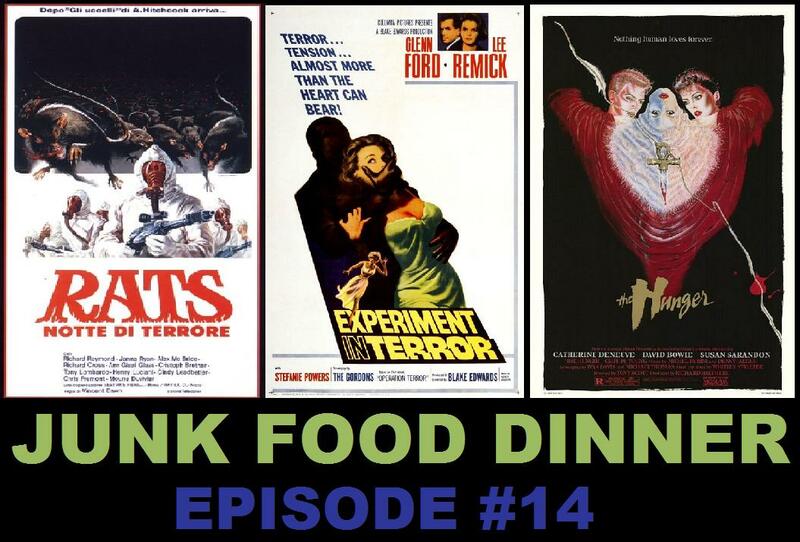 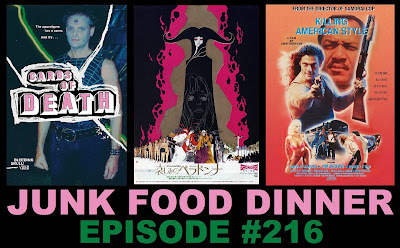 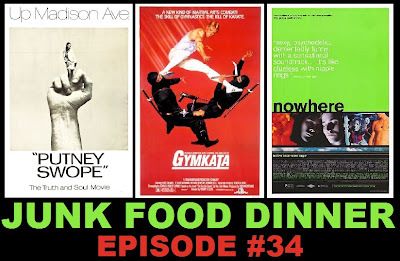 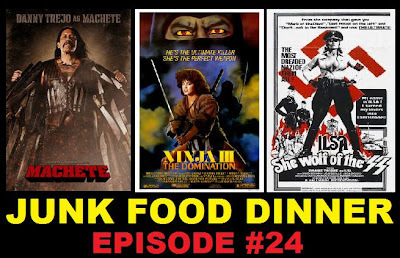 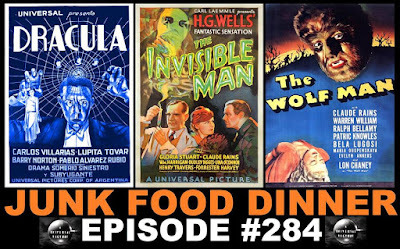 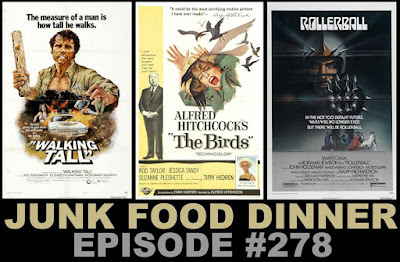 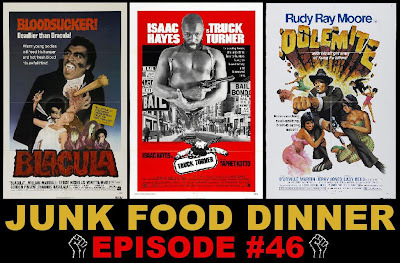 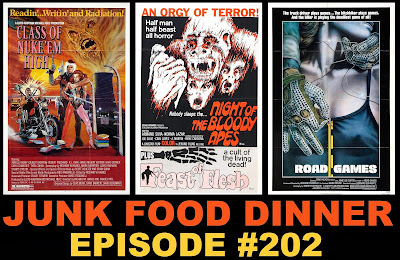 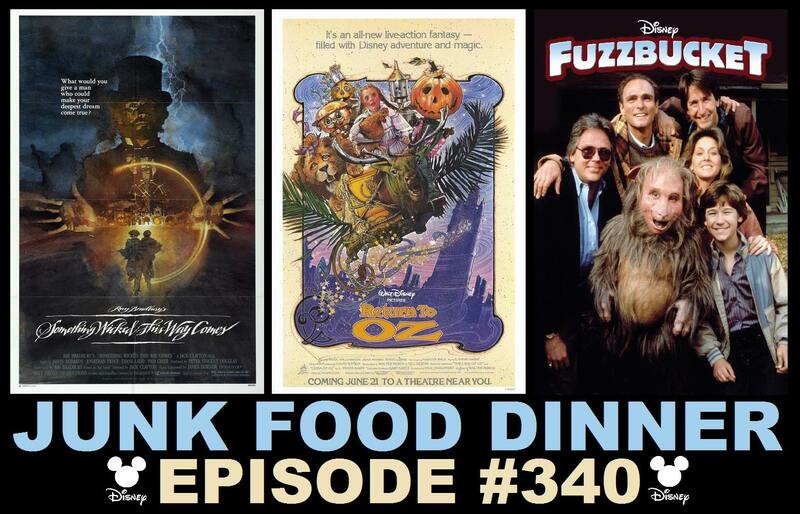 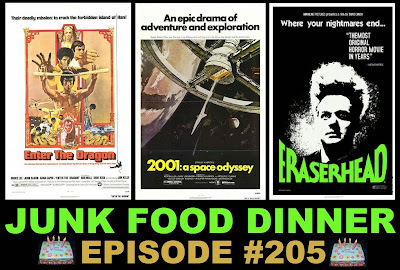 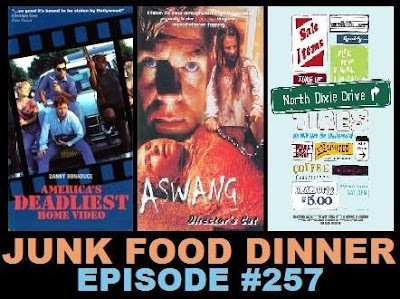 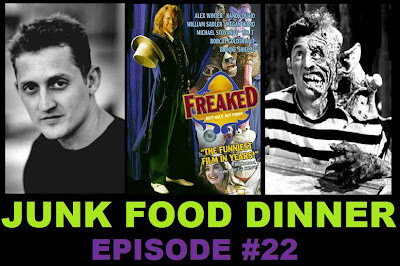 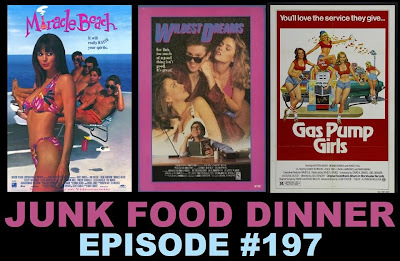 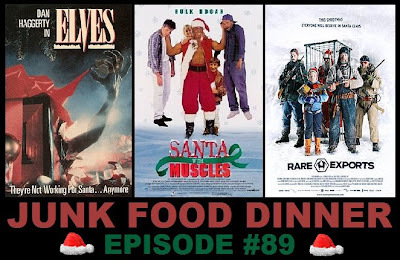 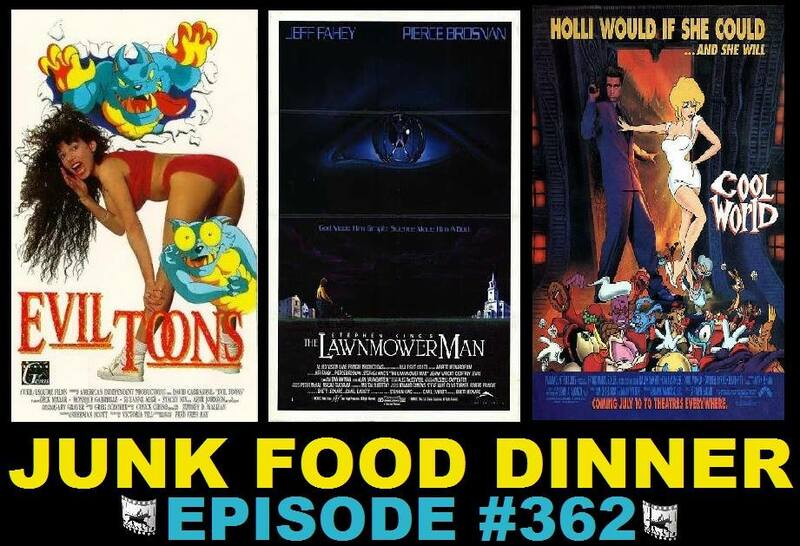 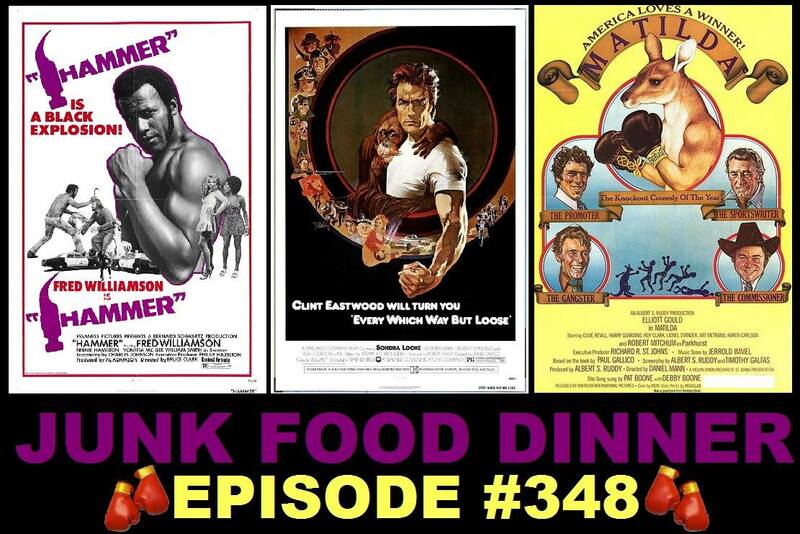 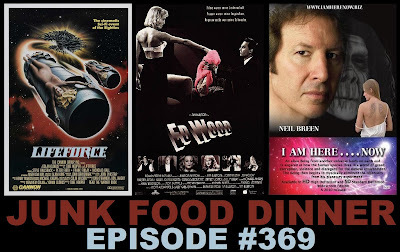 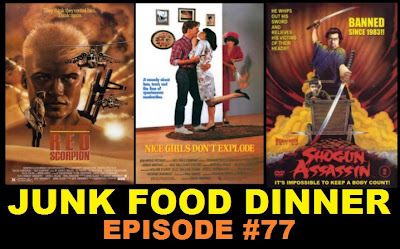 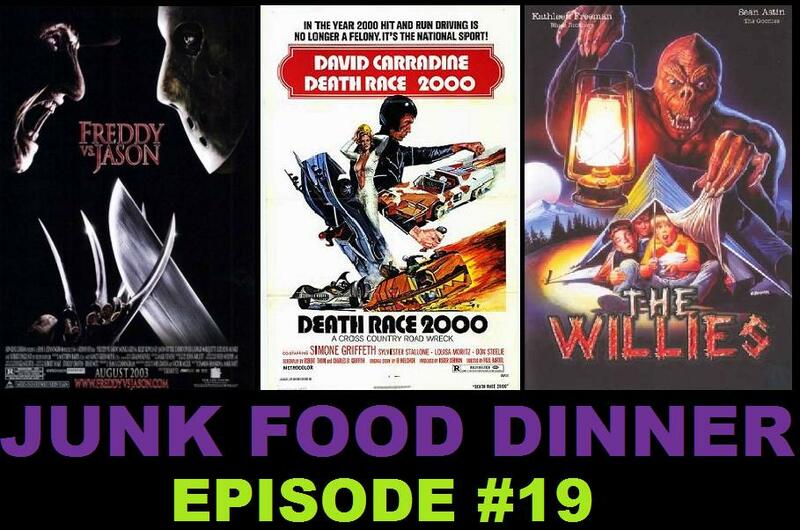 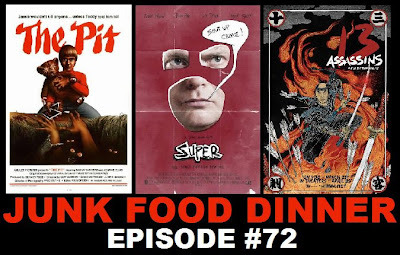 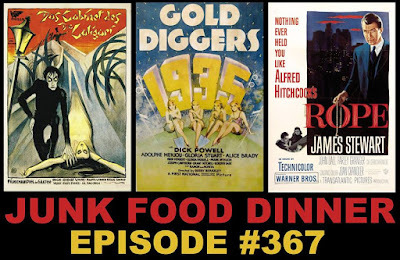 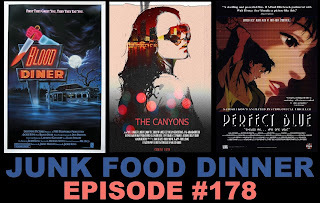 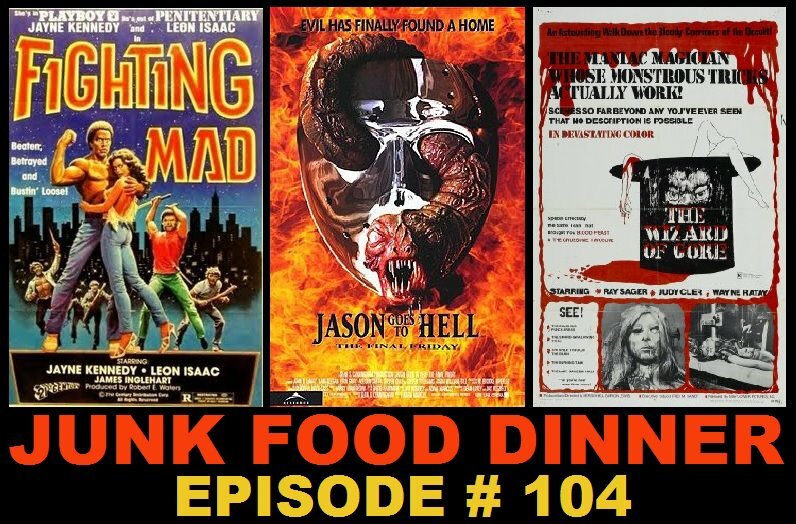 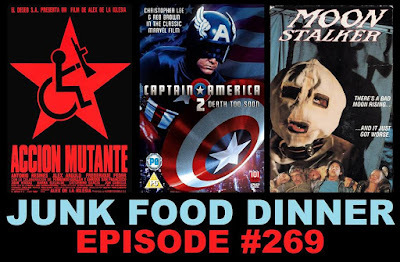 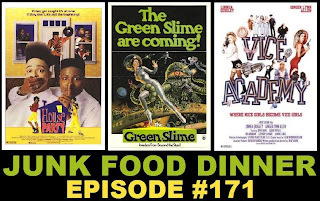 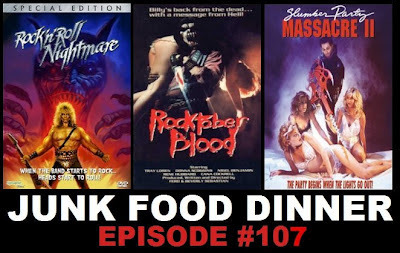 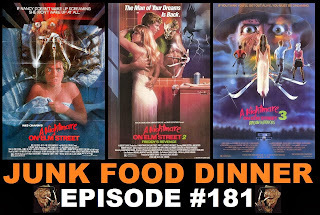 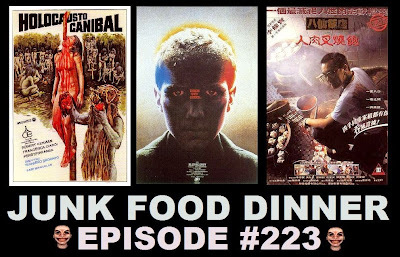 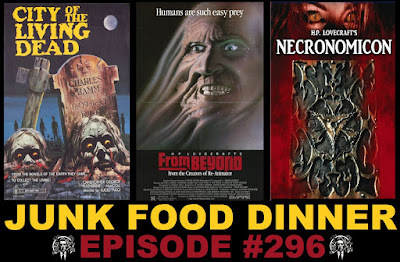 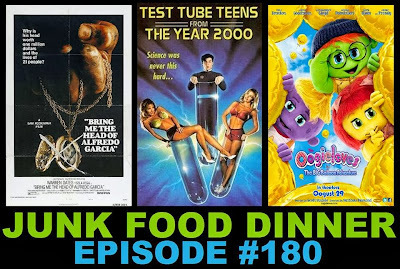 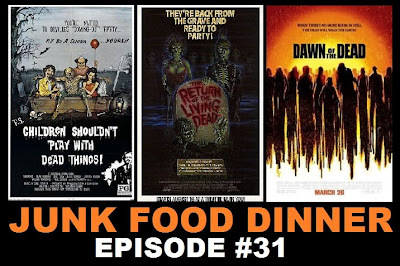 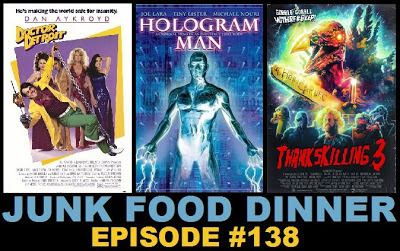 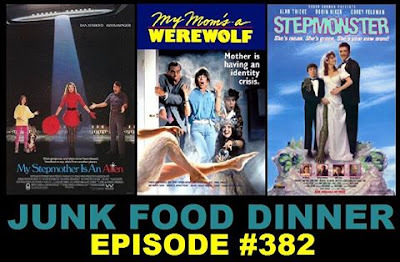 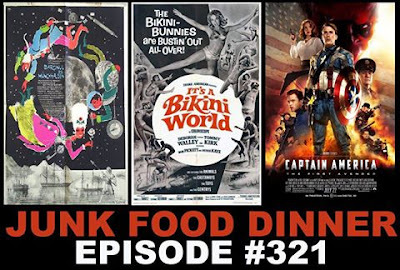 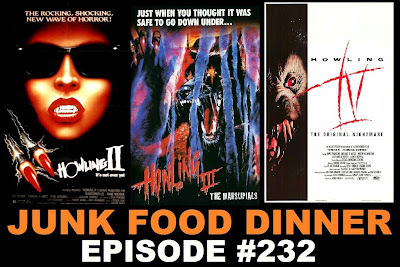 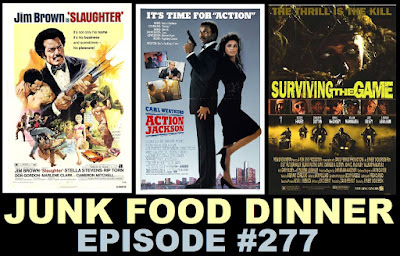 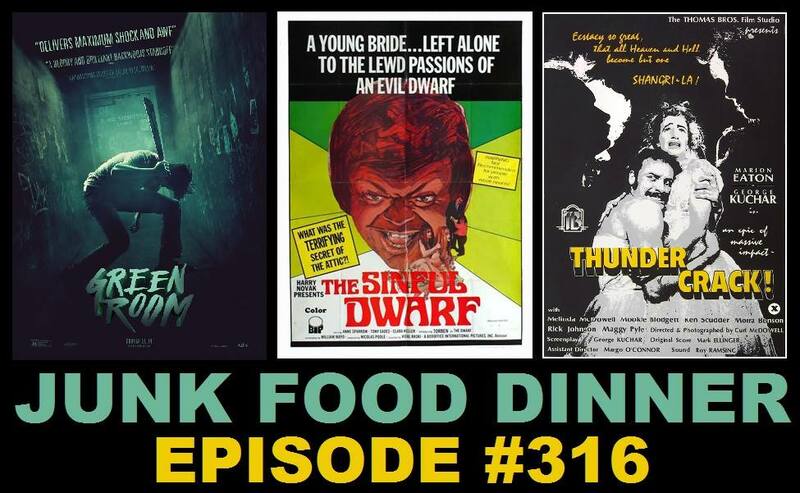 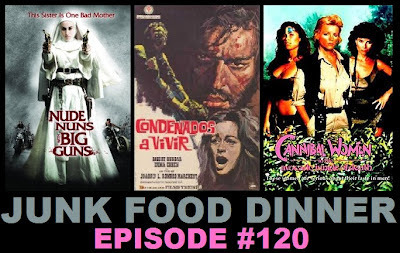 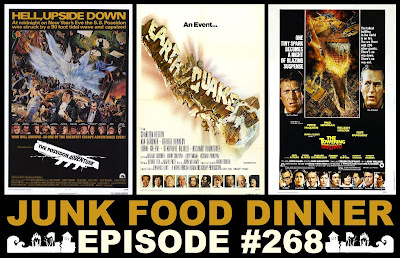 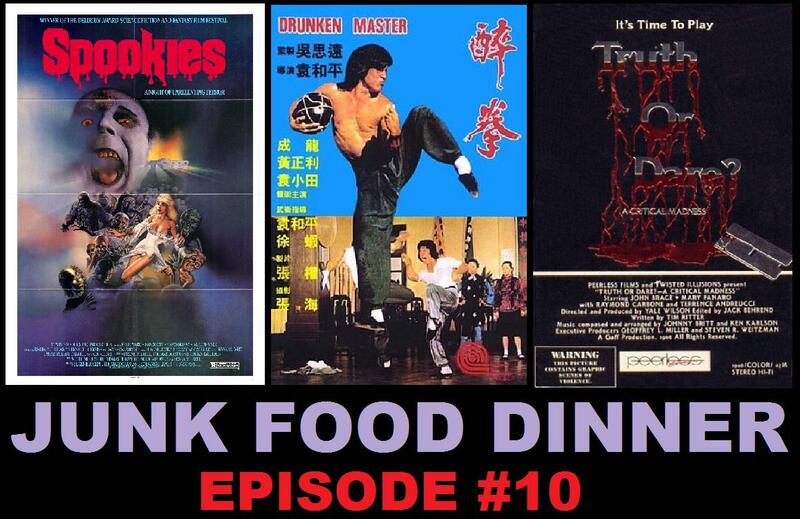 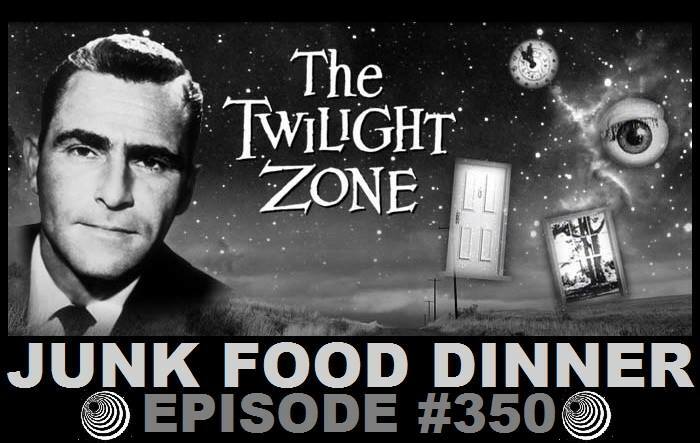 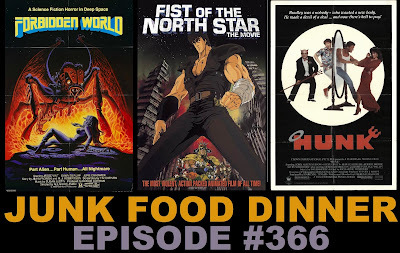 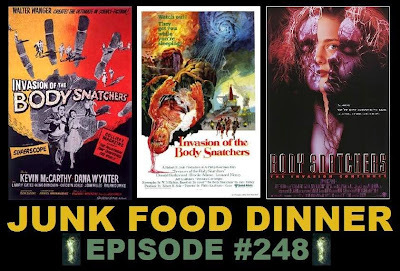 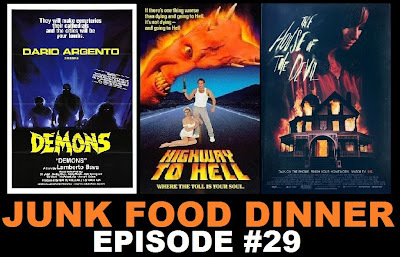 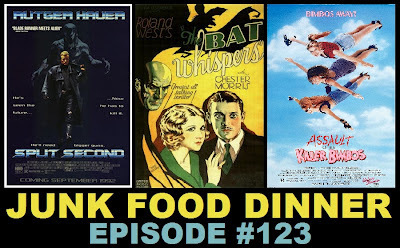 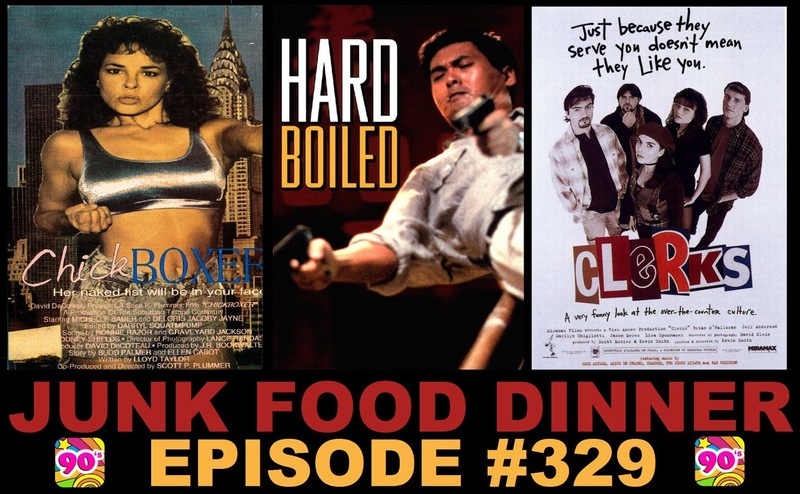 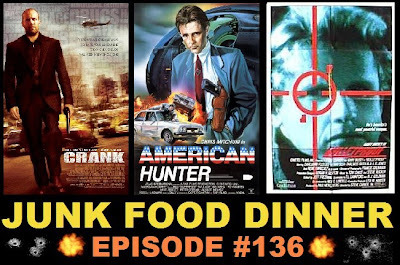 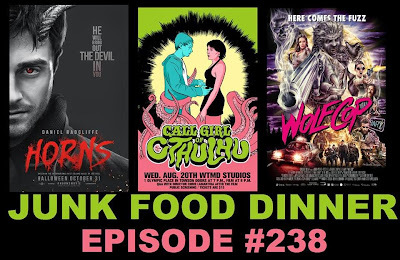 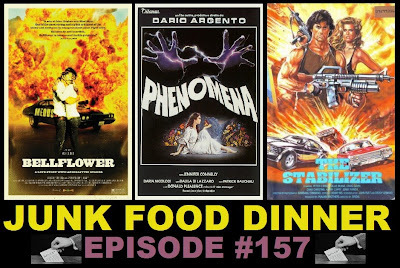 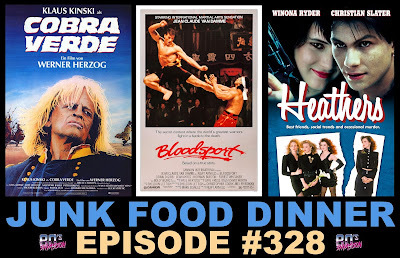 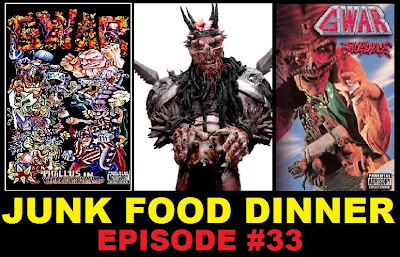 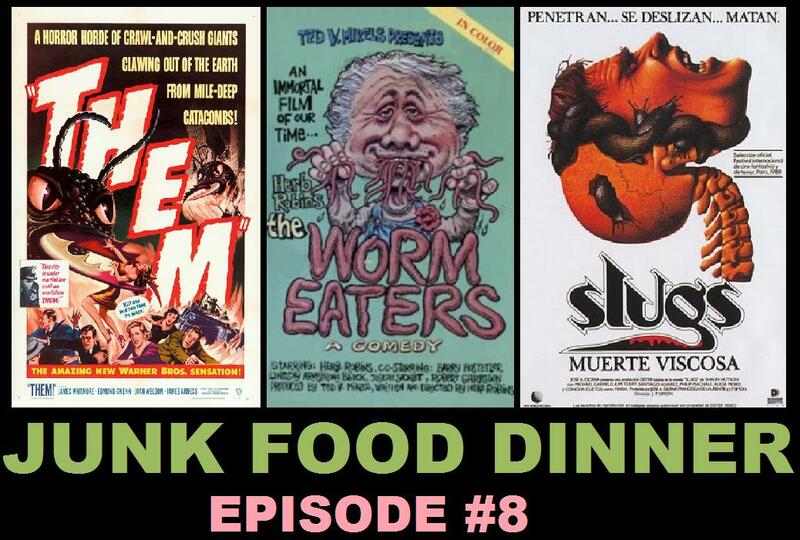 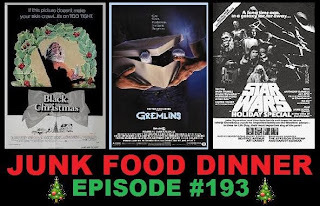 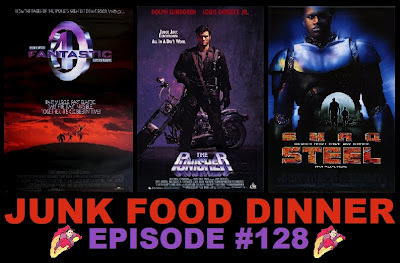 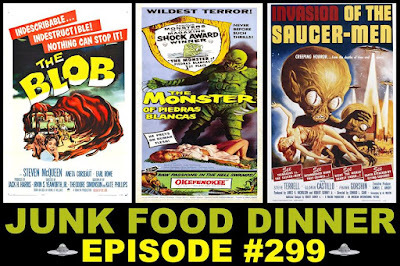 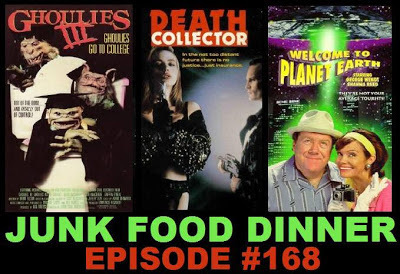 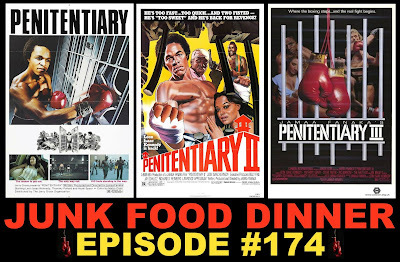 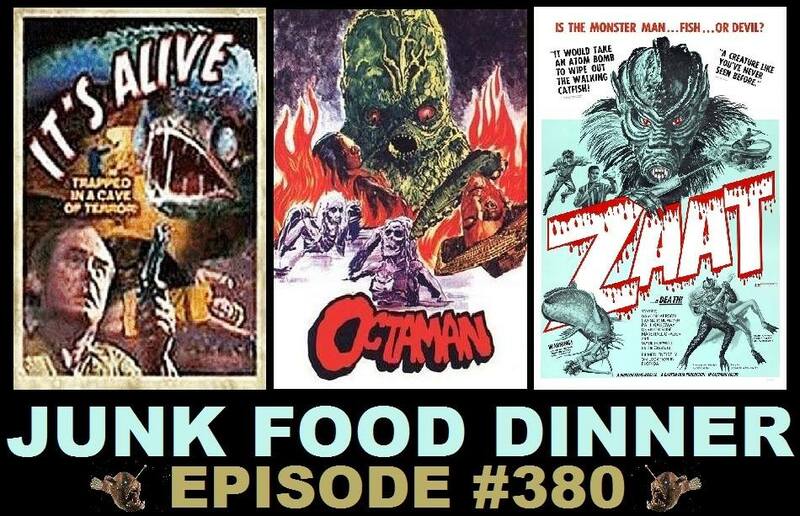 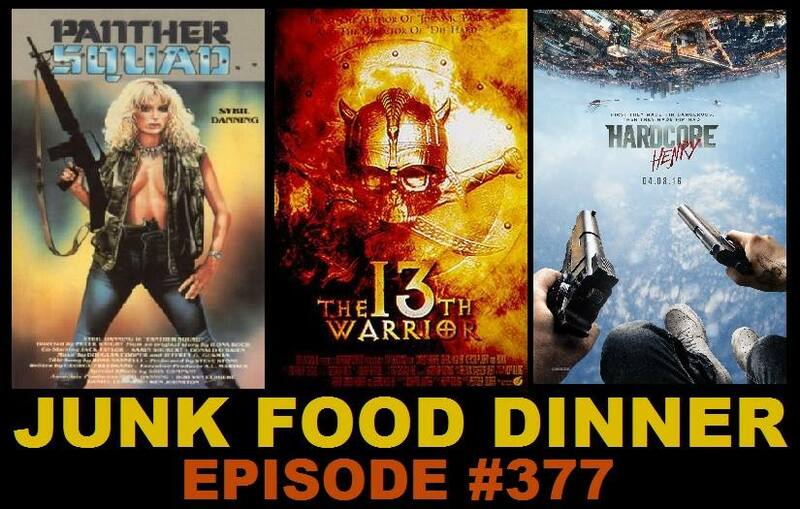 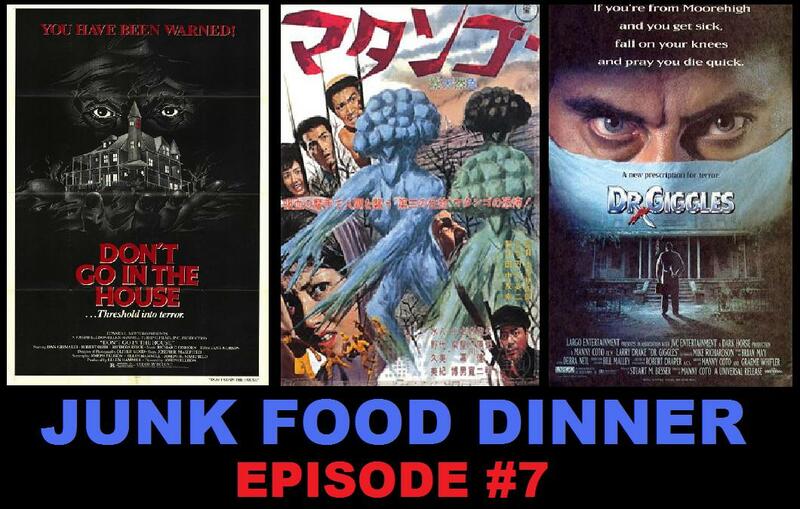 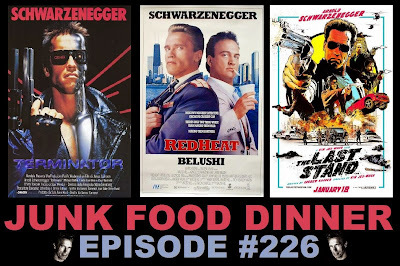 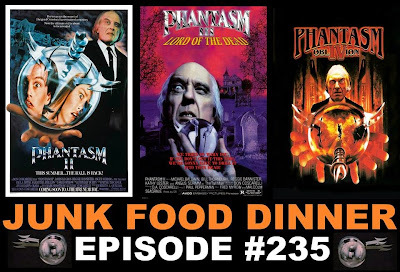 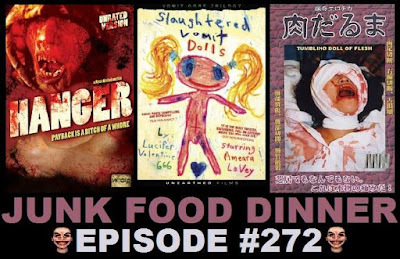 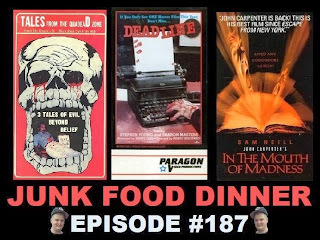 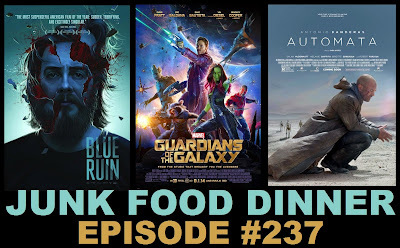 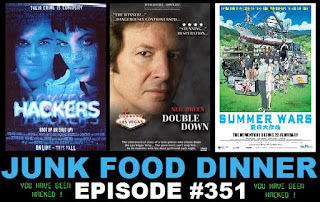 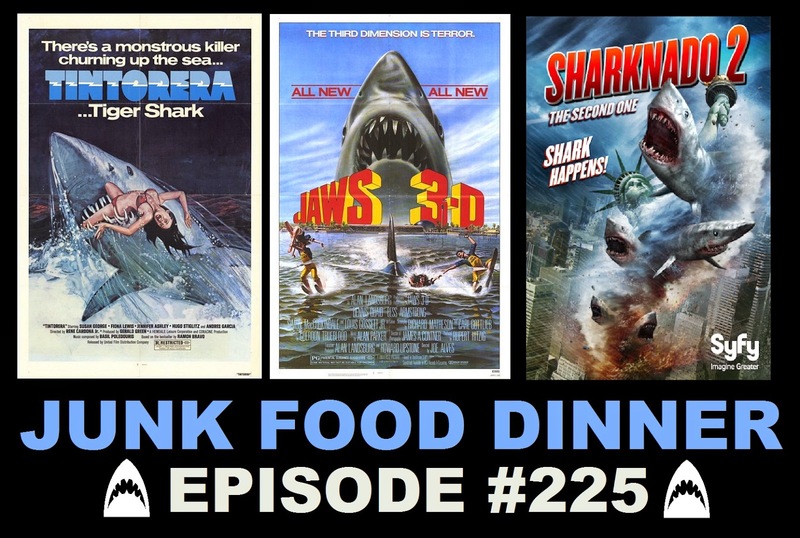 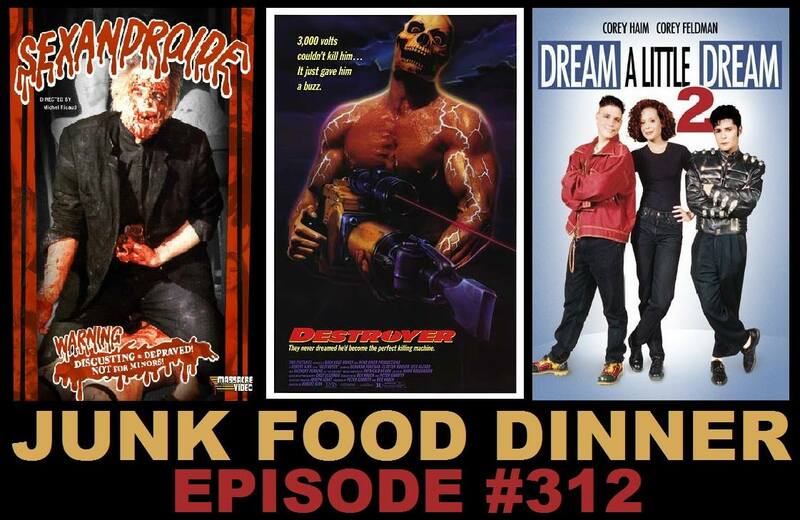 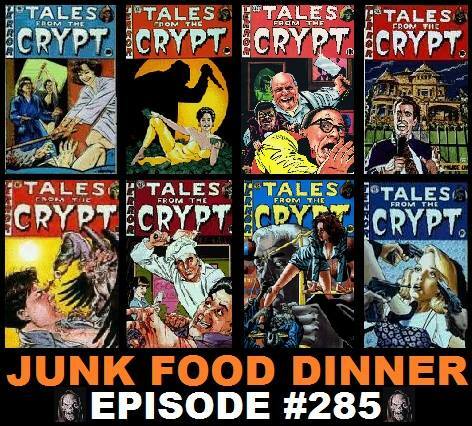 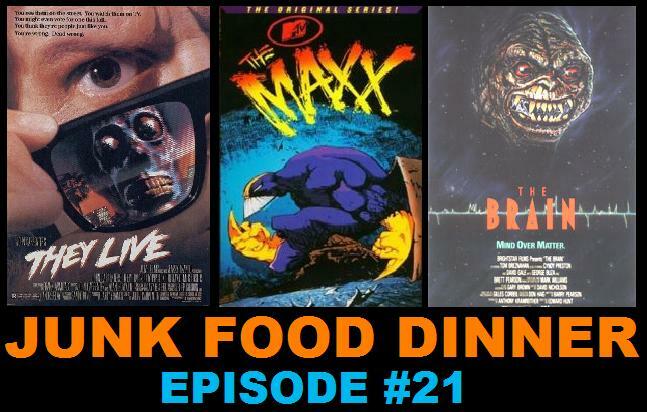 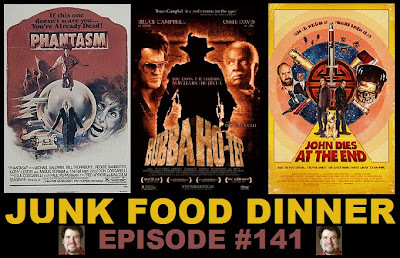 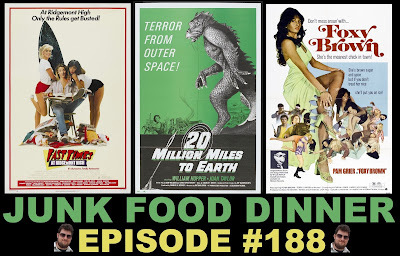 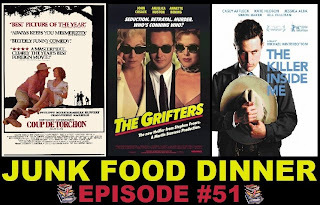 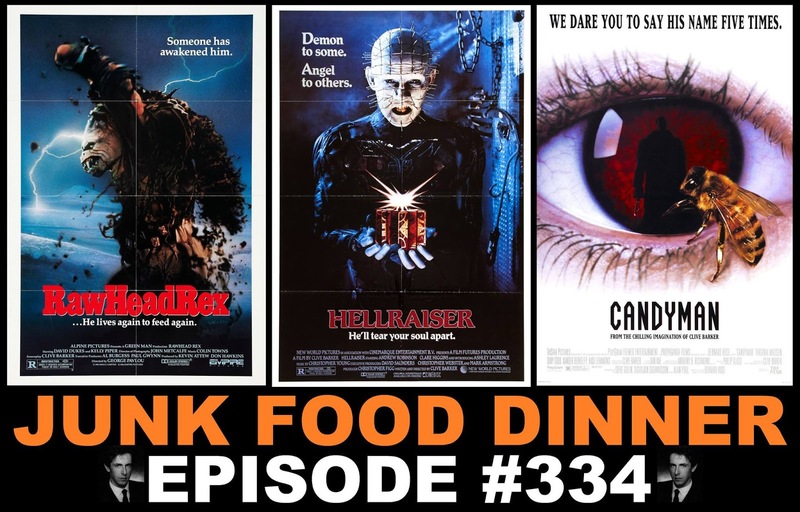 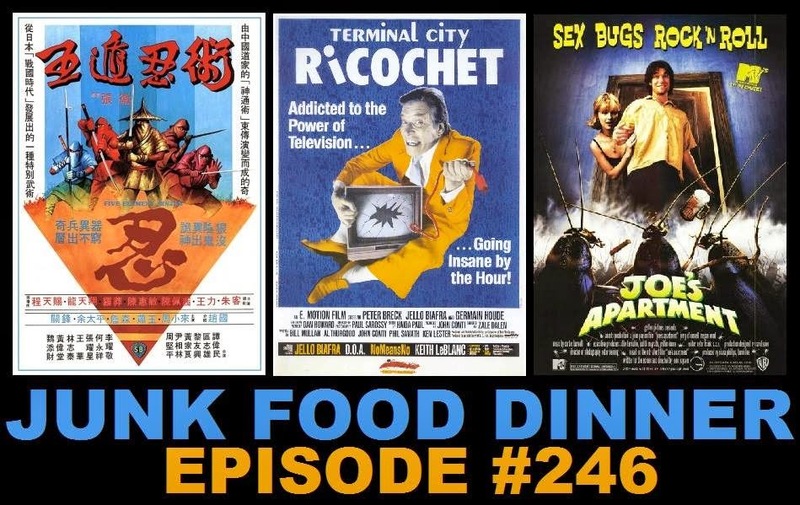 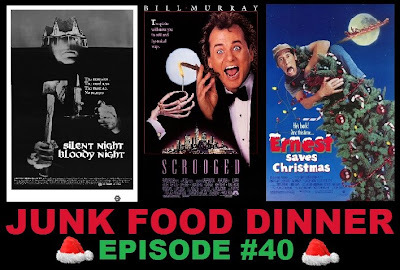 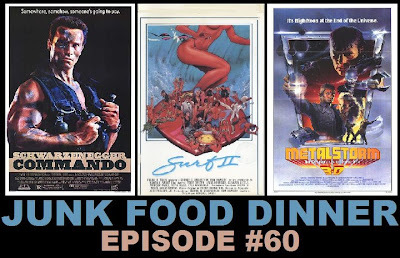 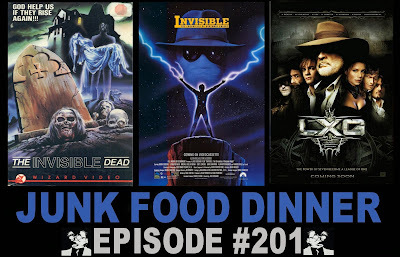 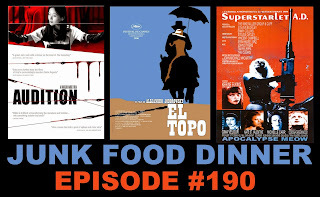 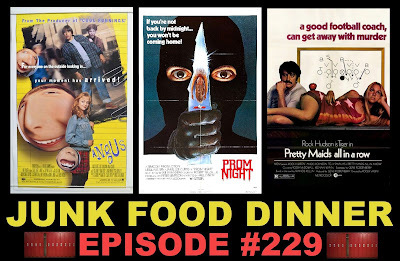 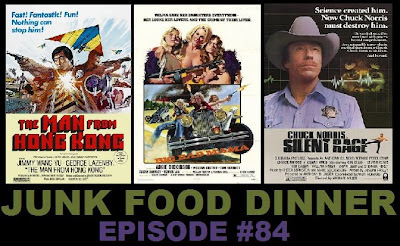 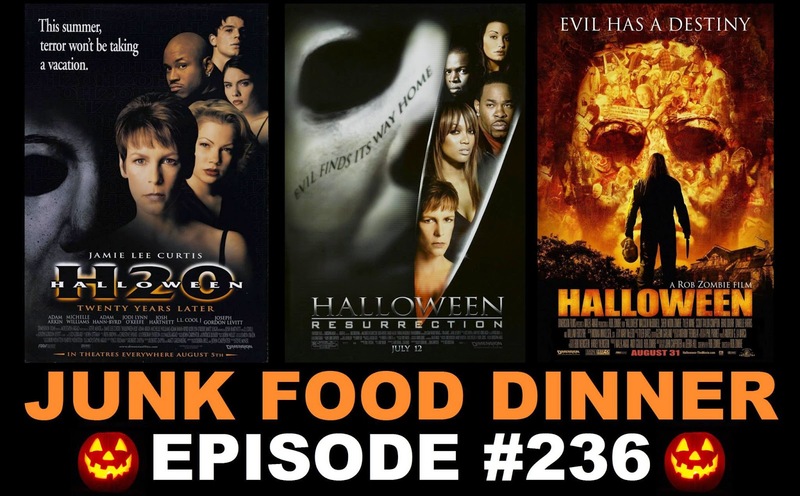 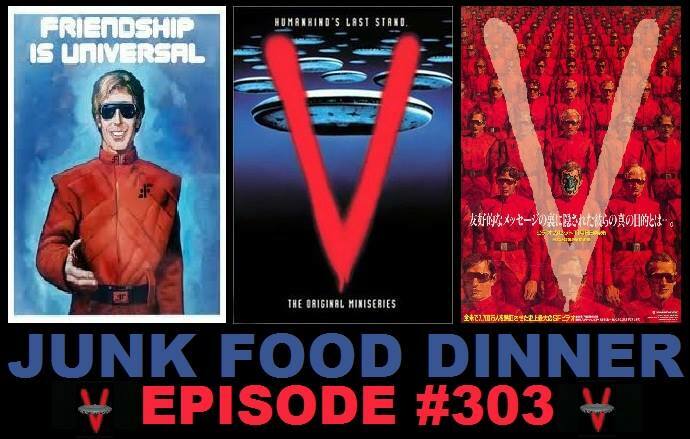 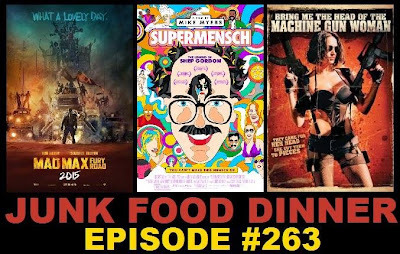 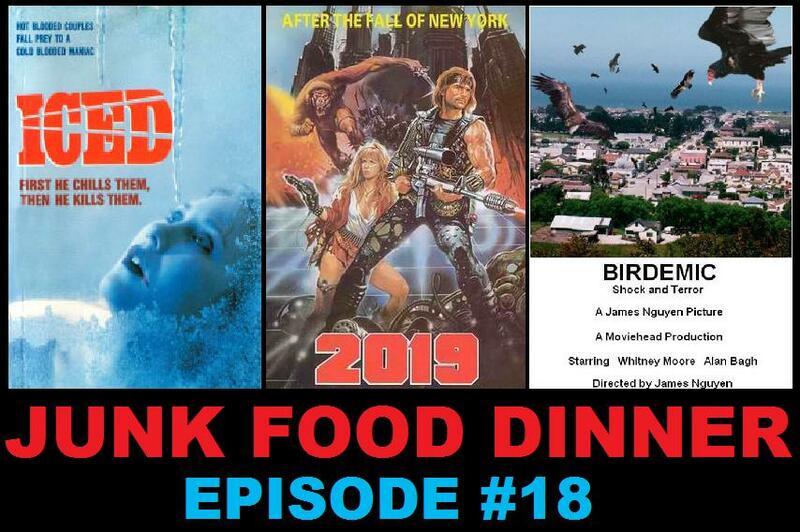 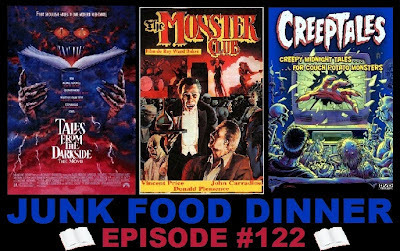 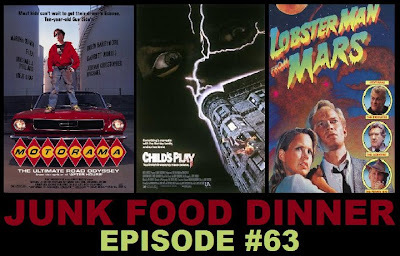 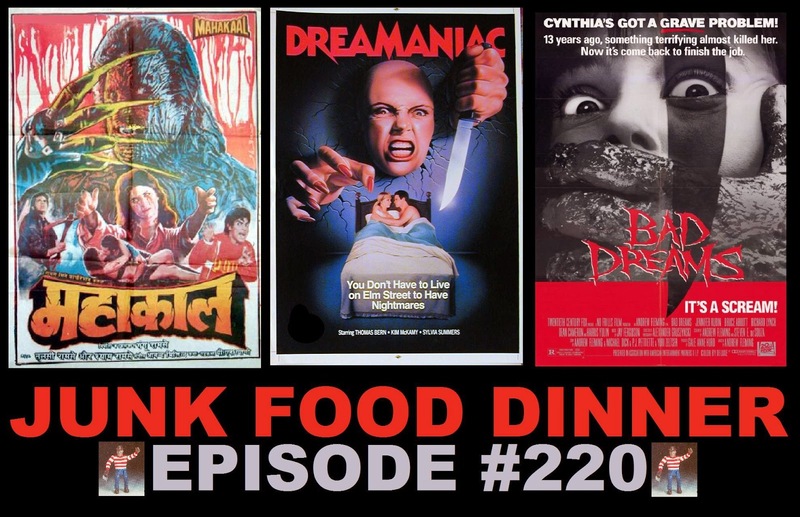 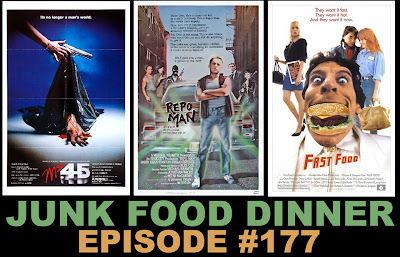 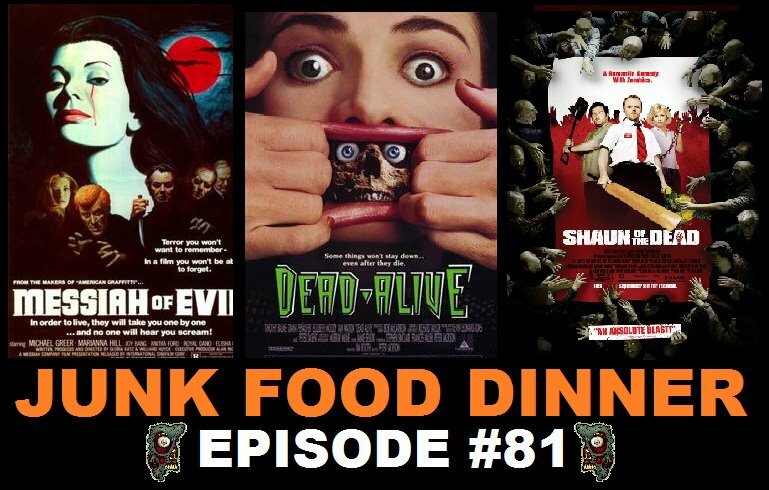 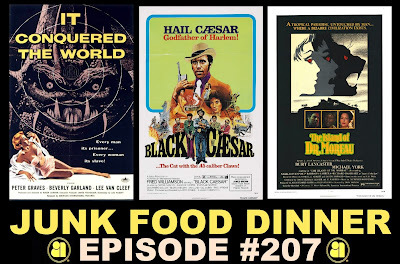 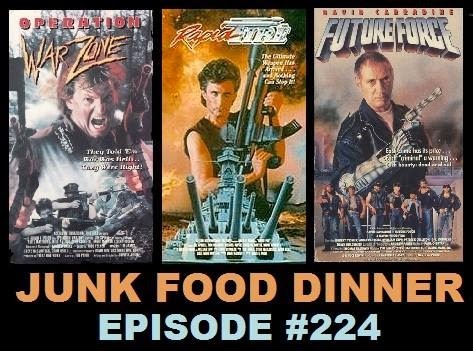 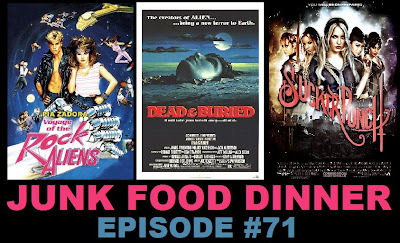 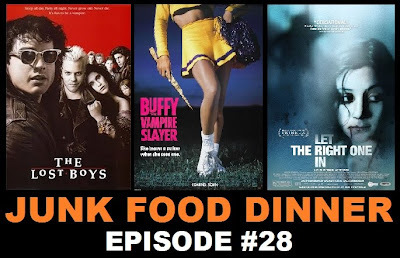 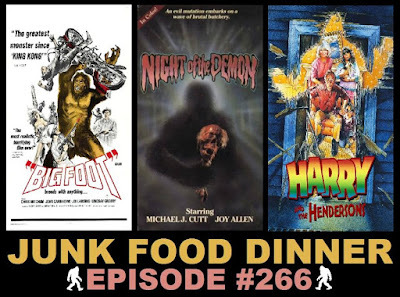 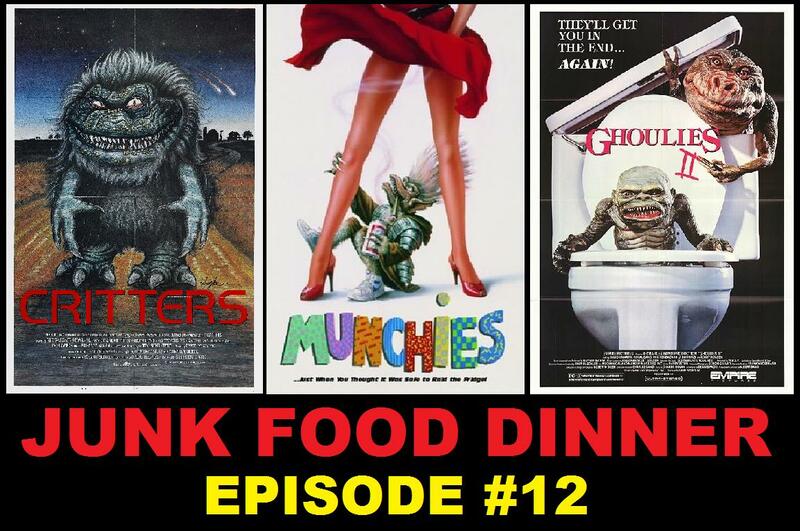 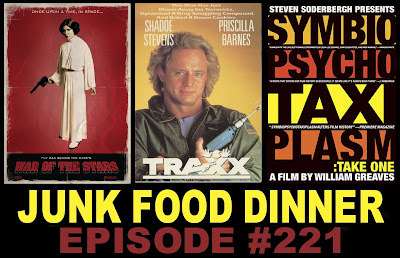 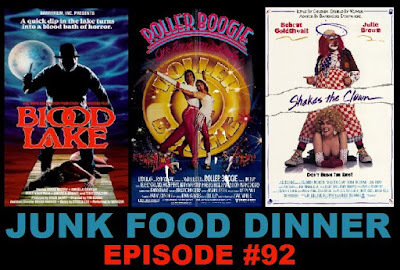 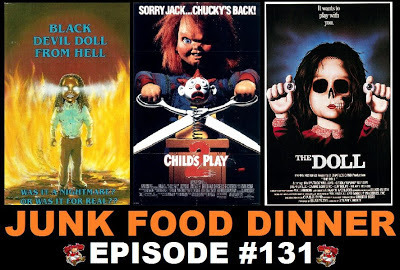 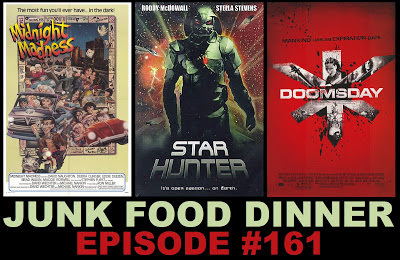 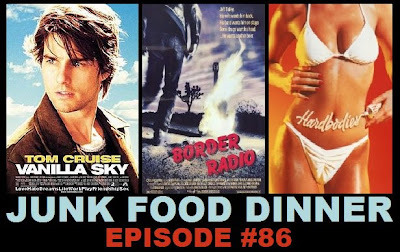 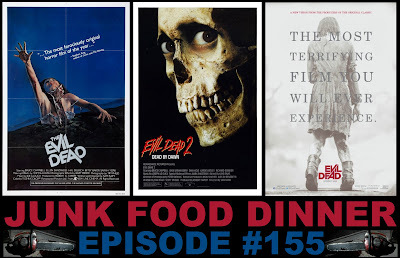 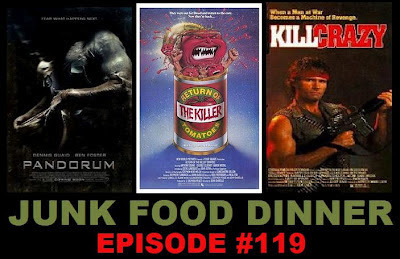 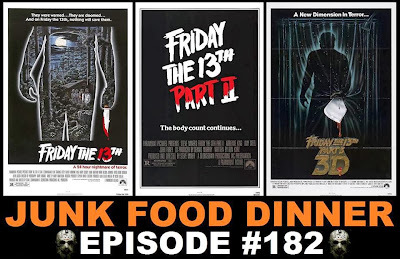 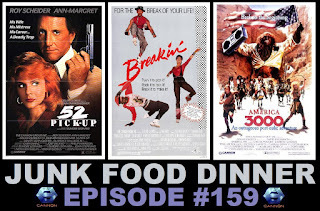 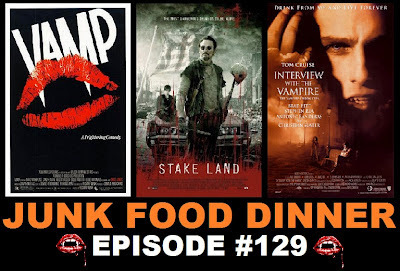 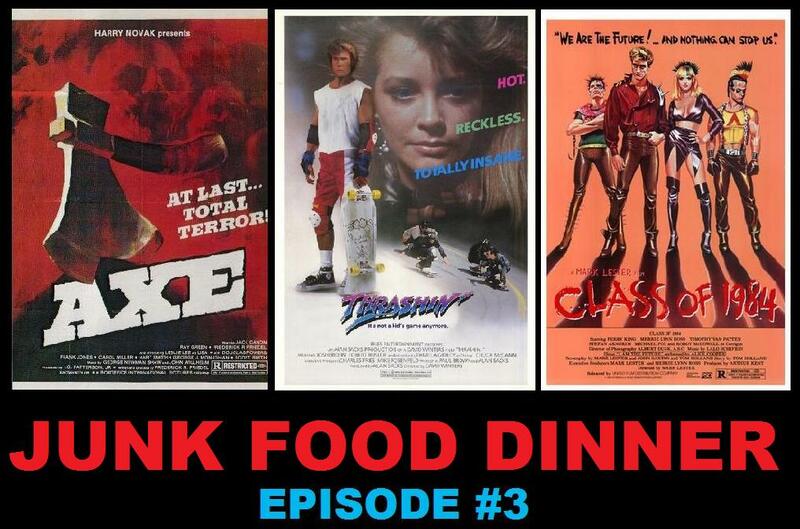 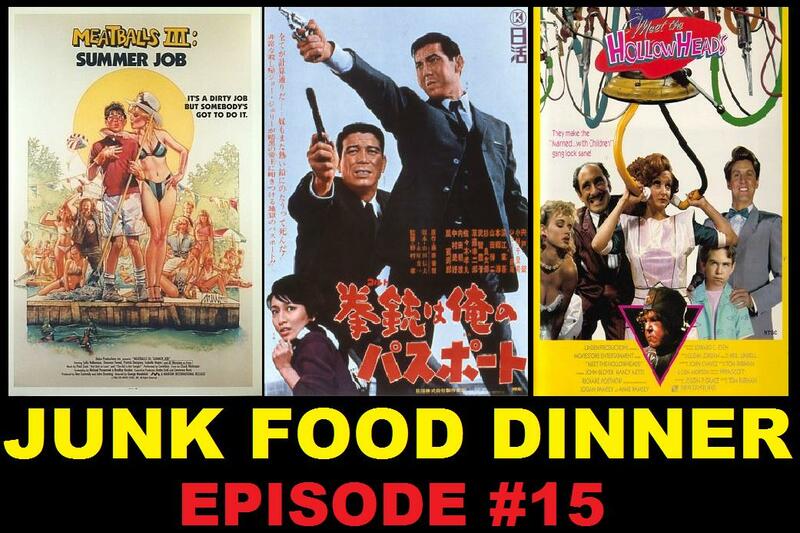 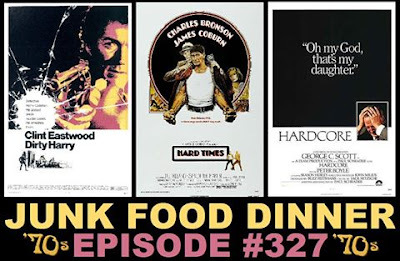 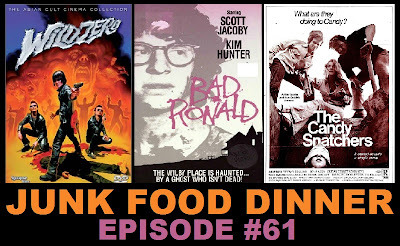 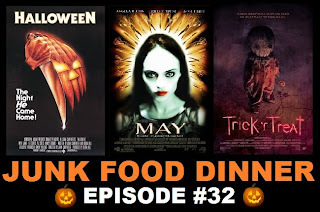 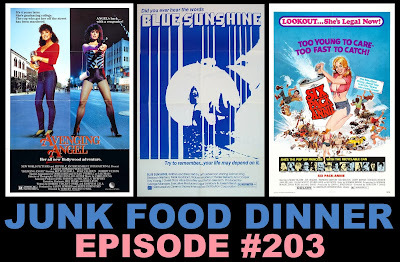 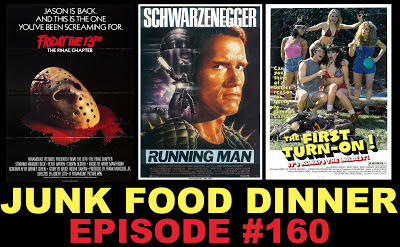 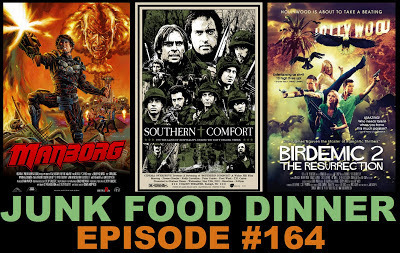 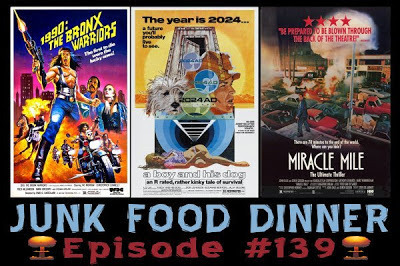 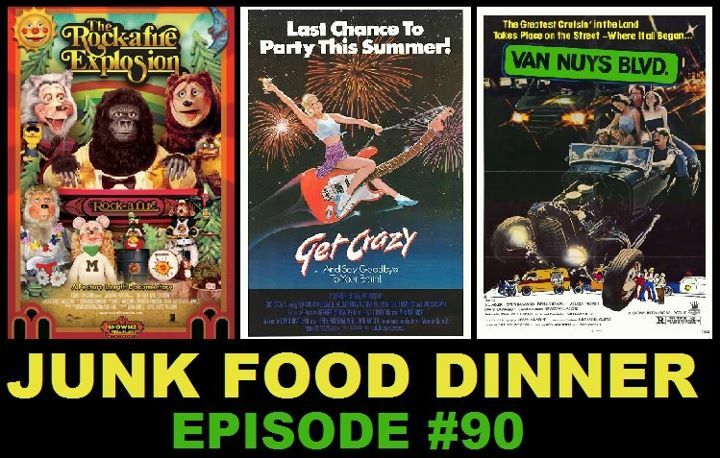 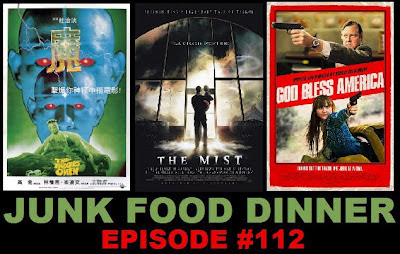 *cough* *cough* Heeeeeyyy, dude, check it out; Junk Food Dinner is back with another fun-filled episode! 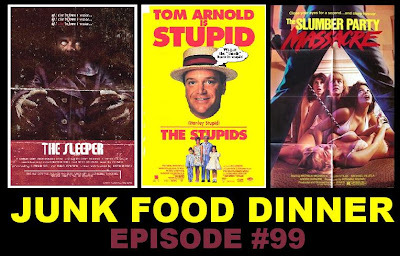 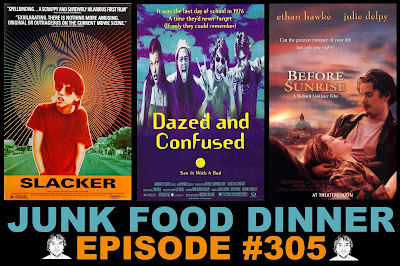 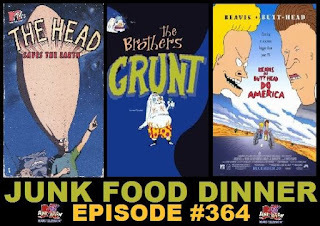 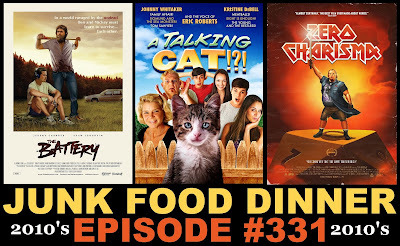 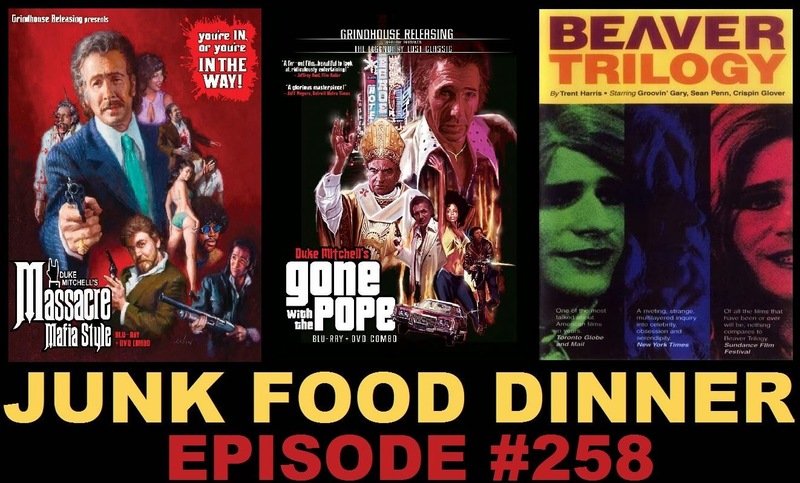 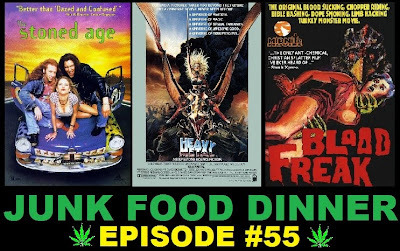 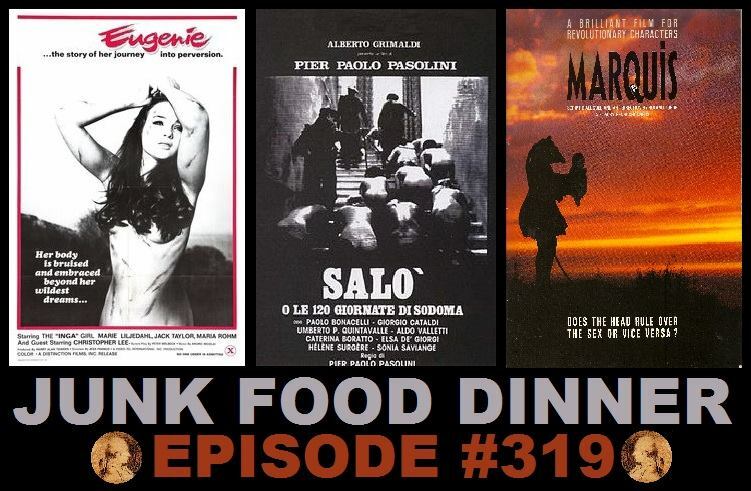 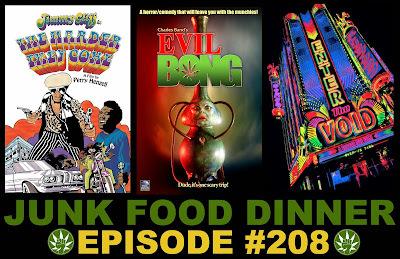 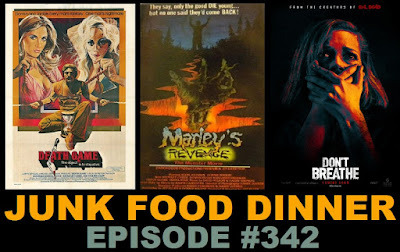 This week, the boys take a walk on the trip-tastic side as we explore three stoner-friendly flicks. 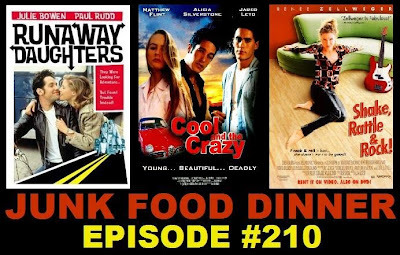 Up first, Anna Faris gets totally baked and has a series of misadventures while trying to run errands in the 2007 pot-comedy Smiley Face, directed by Gregg Araki and featuring appearances by Danny Masterson, John Krasinski and Jane Lynch. 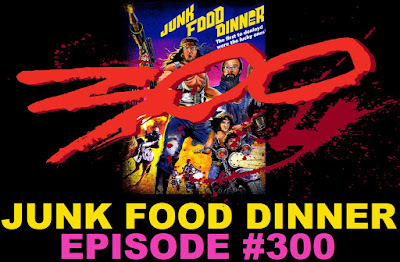 Then, after a young artist moves into his new apartment, he accepts a dinner offer from his strange new neighbors. 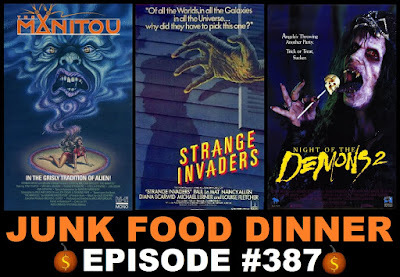 But after eating colorful pudding and drinking magic wine, he transforms into a slimey killer and discovers the dark history of the apartment in the 1988 spatterfest Slime City, directed by Greg Lamberson. 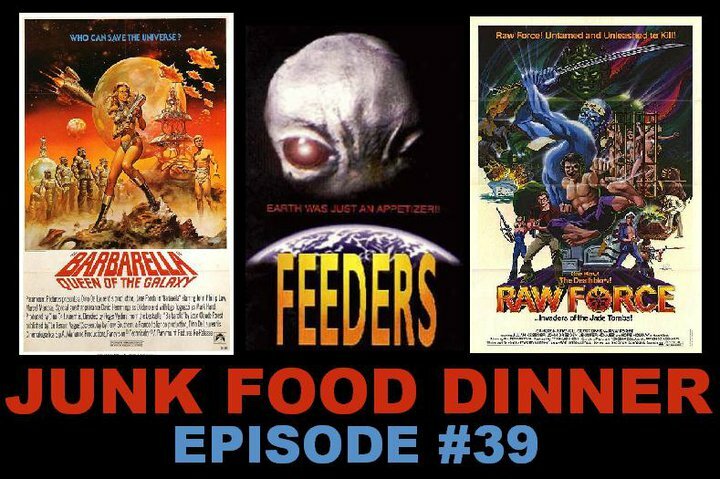 And finally, we take a trip to a distant world, where human beings are treated as pets at best, and as pests at worst by the giant blue-skinned aliens that dominate the planet. 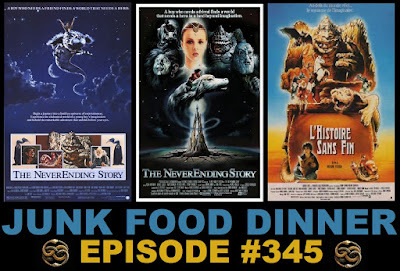 But when a human escapes his master and teams up with a group of fellow renegades, things heat up in the 1973 psychedelic, French animated film Fantastic Planet, directed by René Laloux. 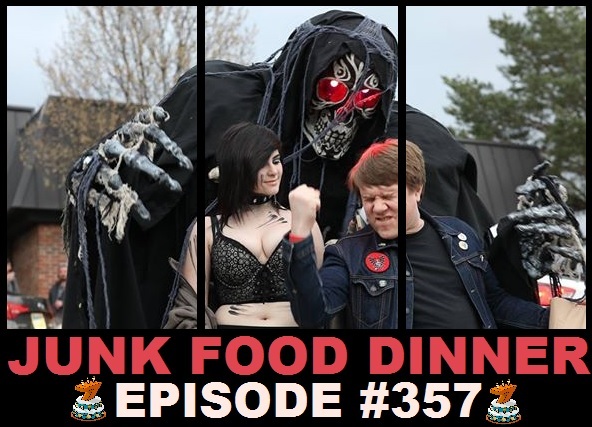 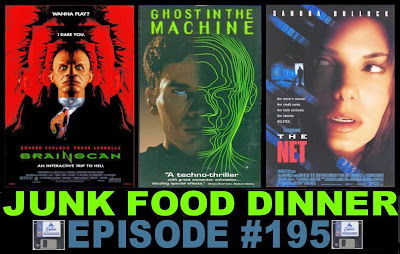 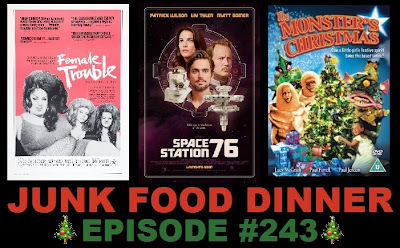 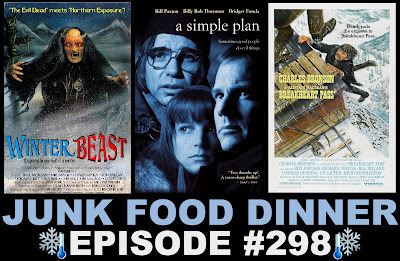 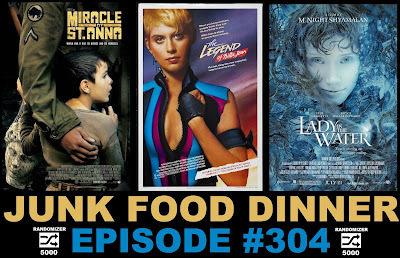 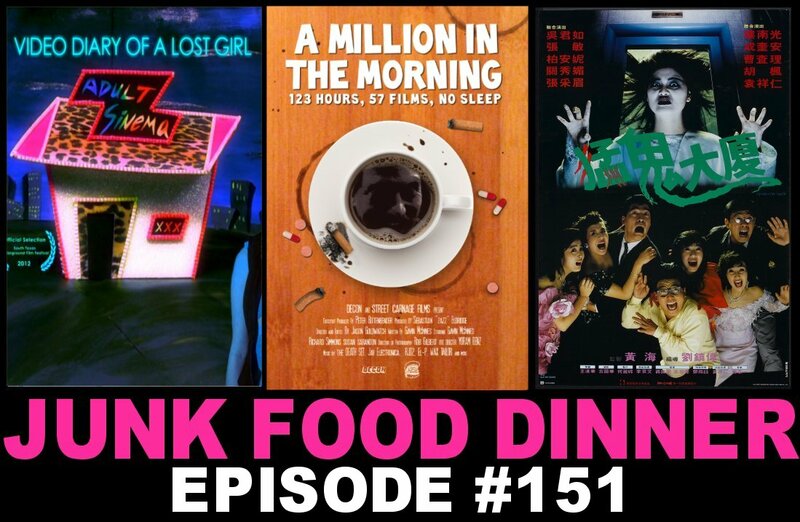 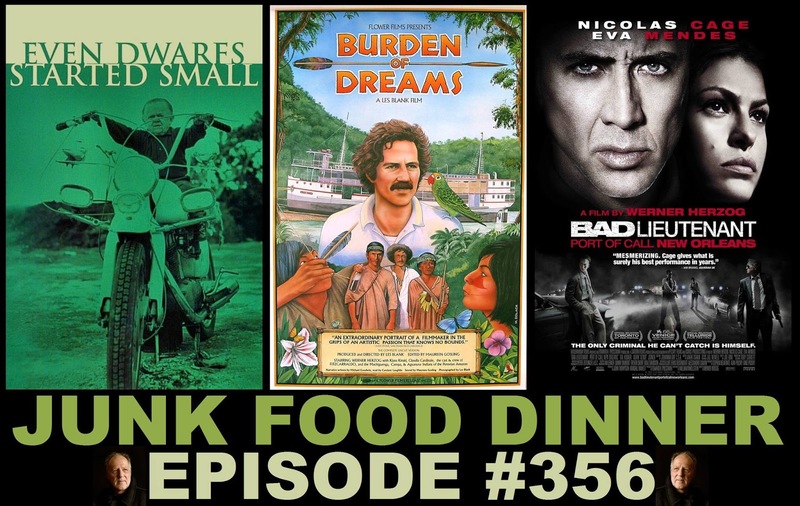 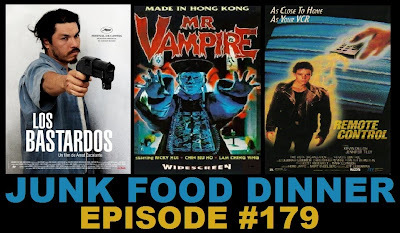 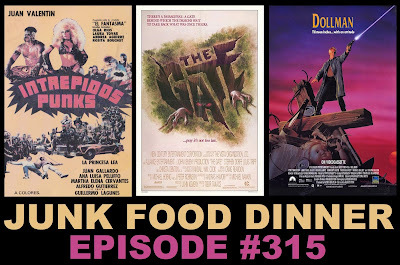 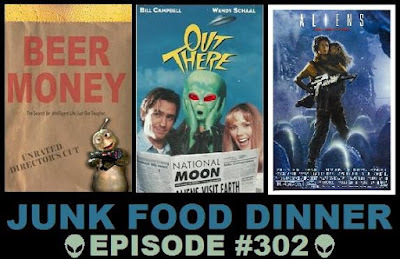 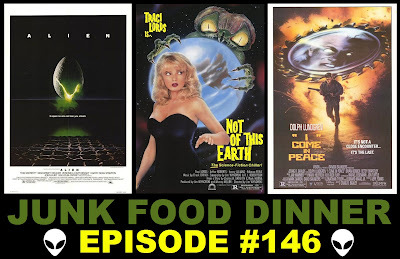 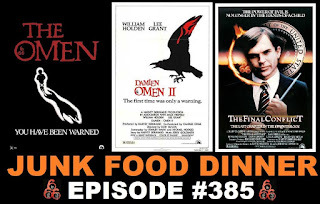 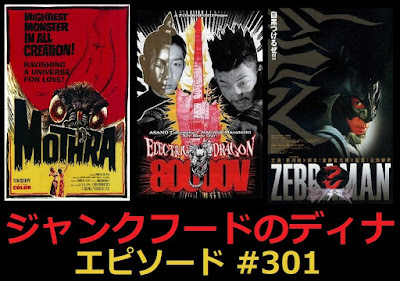 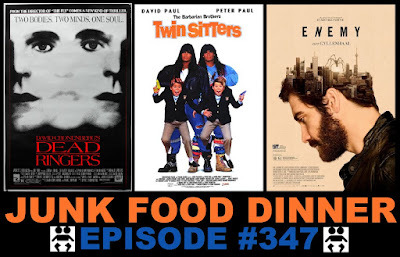 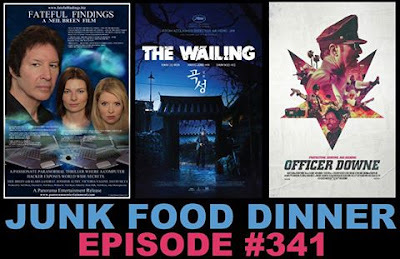 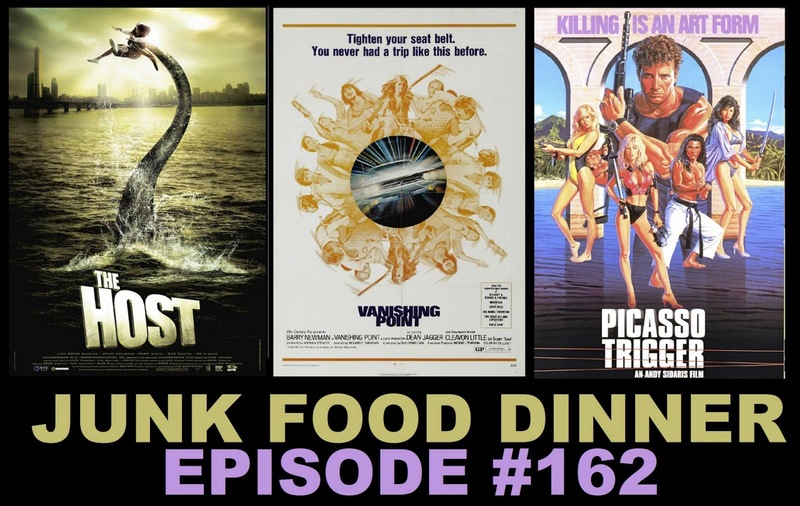 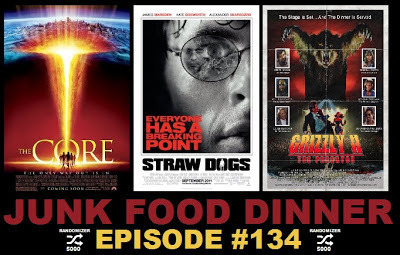 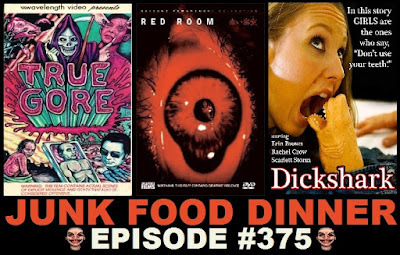 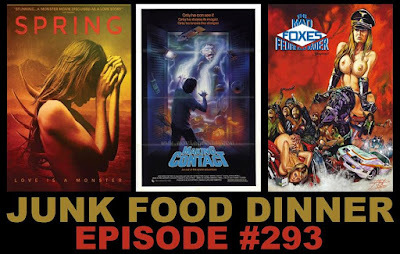 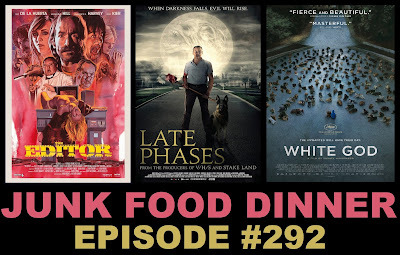 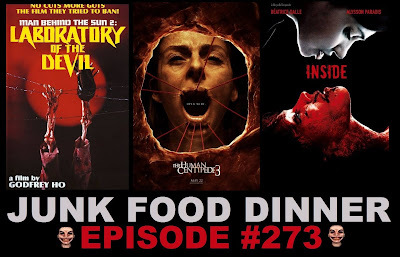 All this plus witty banter between friends, glitchy Skype noise, a pot song by a beloved children's author, soundboard antics, Junk Mail, DVD & Blu-ray releases, Nerd News and so much more! 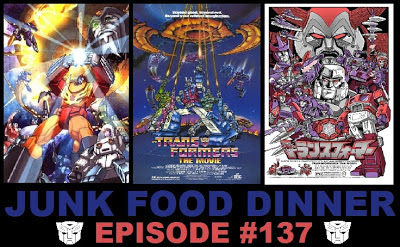 Also, if you like the show, please take a minute and subscribe and/or comment on us on iTunes, Stitcher, Blubrry or Podfeed.net. 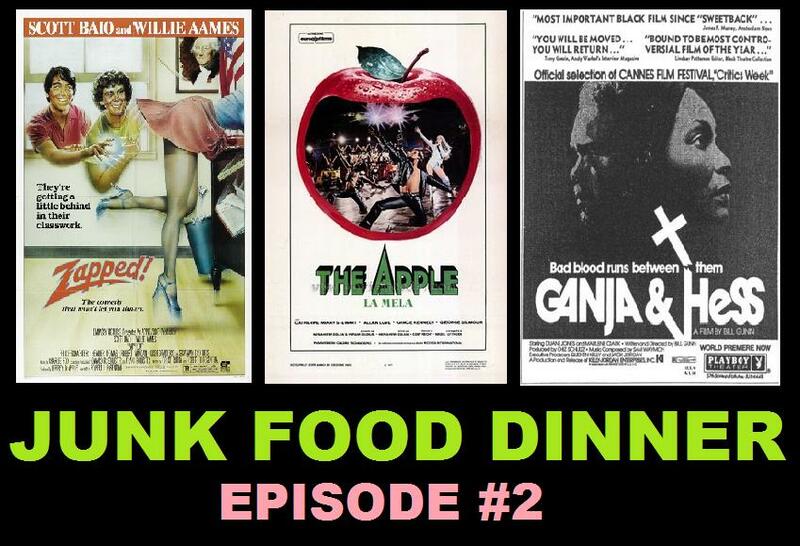 We gain THC from your love and support.